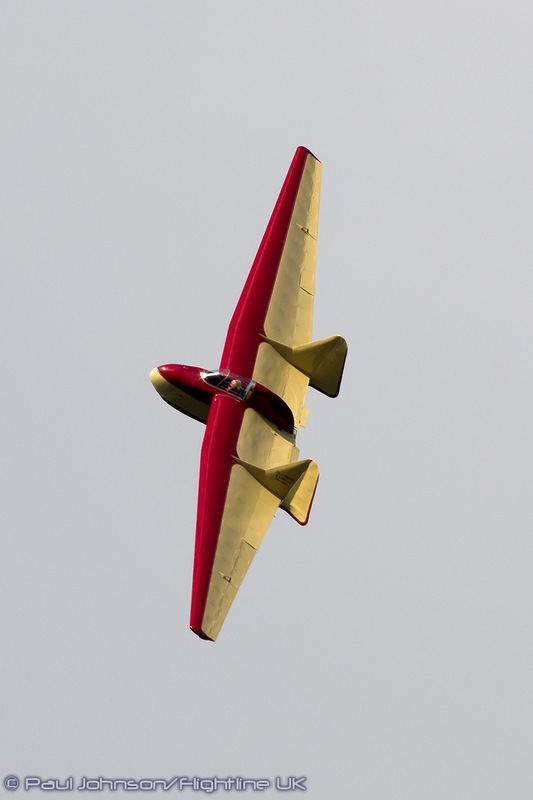 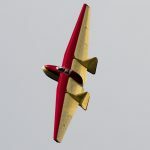 The May Classic Evening Airshow was all very good, but the weather didn’t play ball. 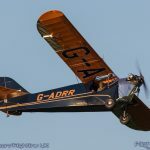 Therefore, when the weather forecast predicted absolutely perfect conditions for the June Evening Airshow, it was a no-brainer to head back to Old Warden to sample the real Old Warden magic that only the evening events bring. 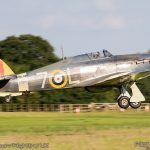 It was also a significant event for Old Warden based Hurricane Heritage Ltd who not only debuted their North American Harvard, but also their second Hawker Hurricane Mk1 as part of the first three-ship Hurricane display to be seen at Old Warden. 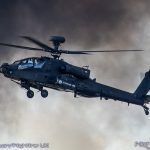 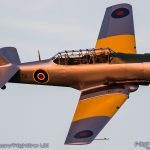 The mid-June weekend of the Evening Airshow was an absolute scorcher with clear blue skies and very light winds. 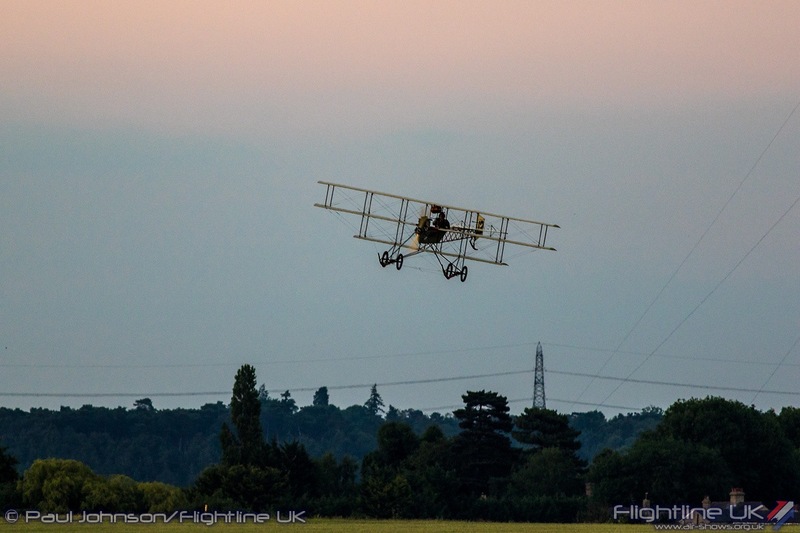 The appeal of an evening show in cooler conditions was therefore too hard to resist! 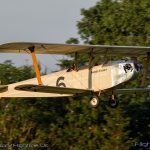 The golden light of the sun setting behind Old Warden house and relative quiet of early evenings gives the aerodrome a very special atmosphere even with the decent sized crowd. 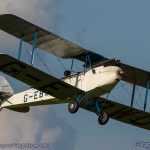 In almost every respect, it was a typically perfect day at Old Warden with only the smallest of delays getting in and out, the gentle buzz around the aircraft being prepared for the flying display as well as visiting aircraft arriving. 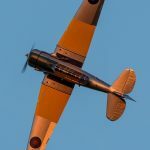 Like the previous evening show, a small area of the Paddock was opened up for an “Uncovered” area allowing those braving the strong sun to get up close to some of the Collection’s amazing aircraft. 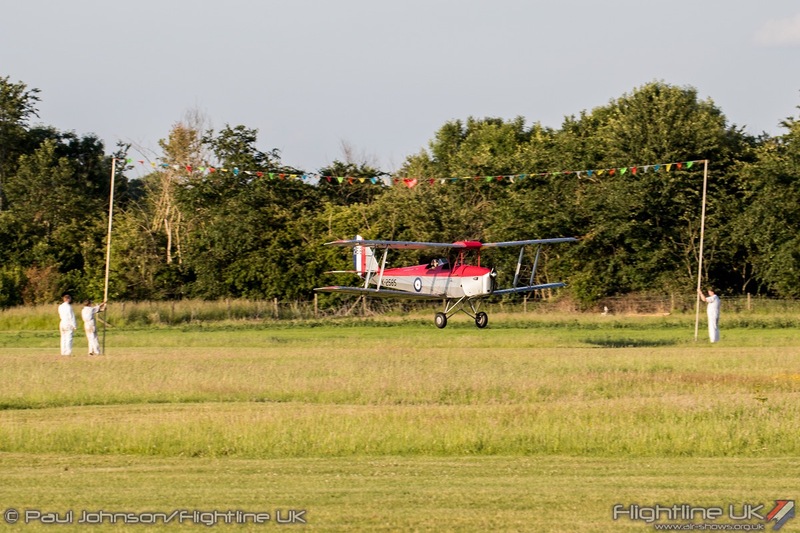 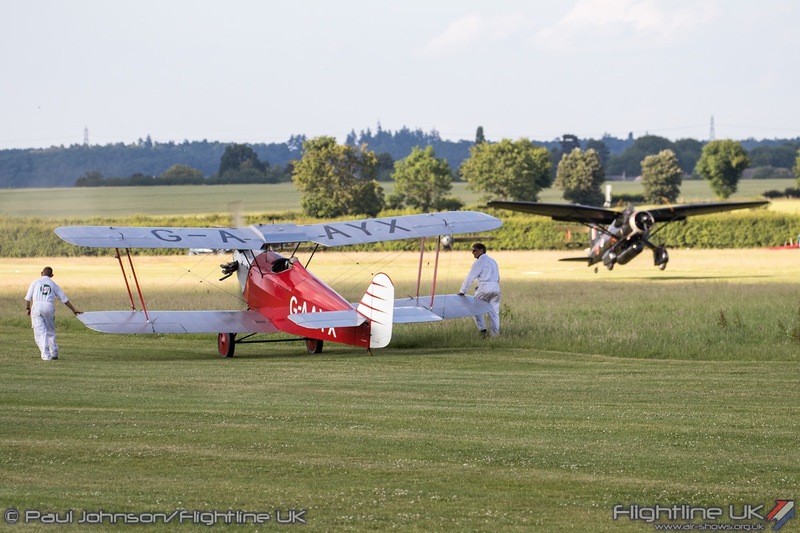 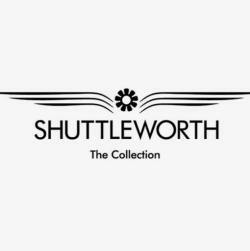 The flying kicked off just after 6pm and featured all of Shuttleworth’s finest fair. 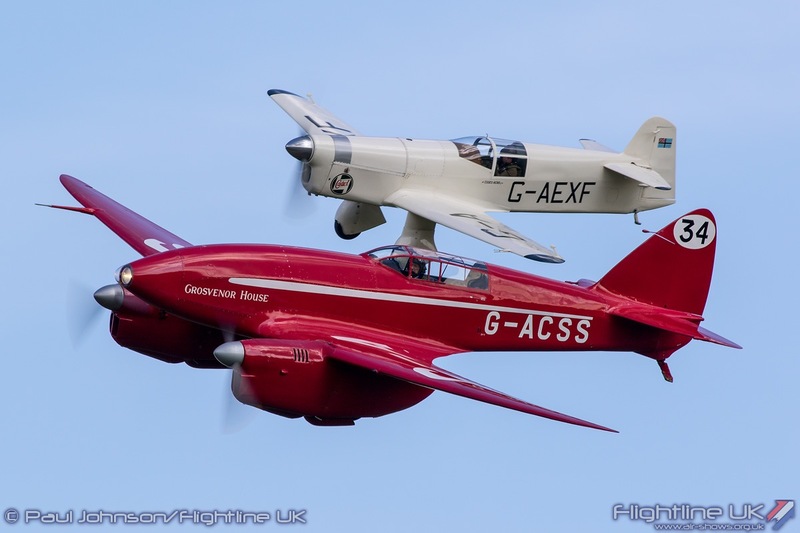 The opening duo of de Havilland DH88 Comet and Percival Mew Gull were followed a cavalcade of nostalgia. 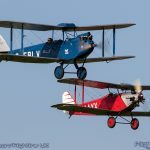 This included some wonderful combinations that you’ll only ever see at Old Warden such as the de Havilland DH60 Cirrus Moth, de Havilland 60X Moth and Southern Martlet flying a gentle formation and tailchase routine. 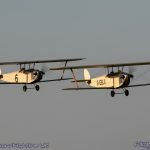 The military side of inter-war flying was also well represented with the combination of Avro 621 Tutor and Hawker Tomtit, both of which looked glorious with their silver dope illuminated by the golden sunset rays. 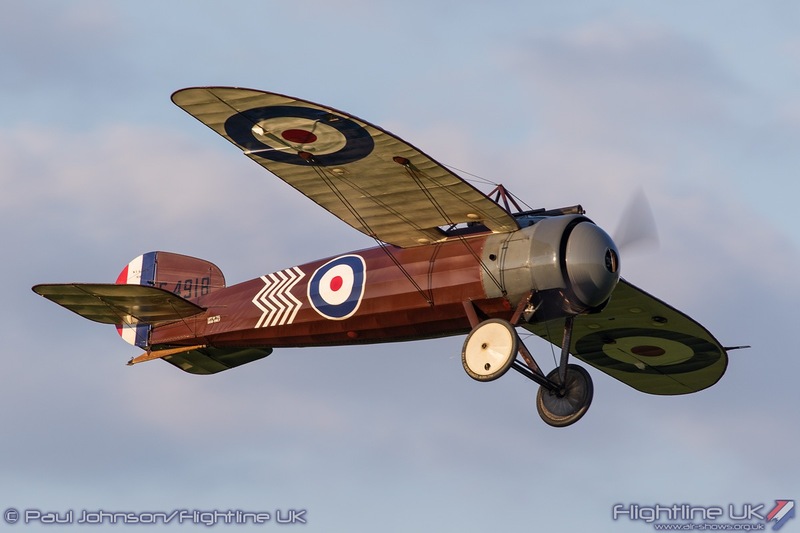 The light wind conditions were ideal for some of the fragile collection aircraft dating from the Lympne Trials. 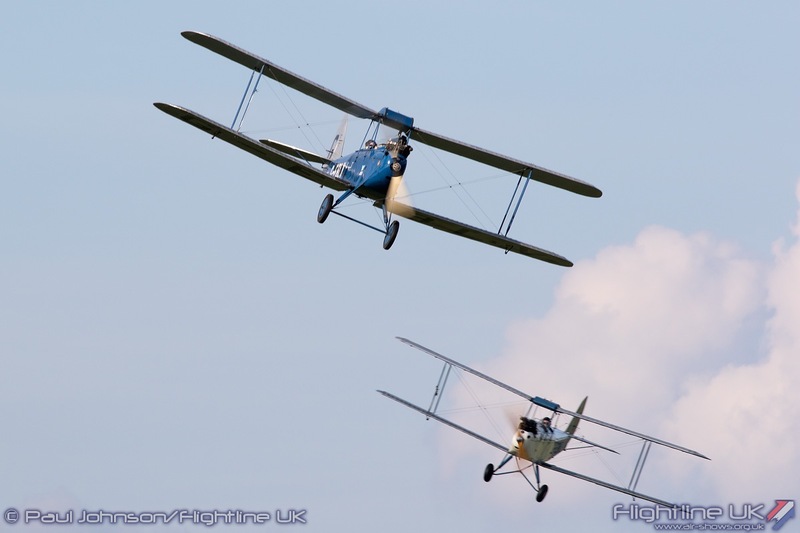 It was lovely to therefore see both the Hawker Cygnet replicas and the ANEC II gracing the skies. 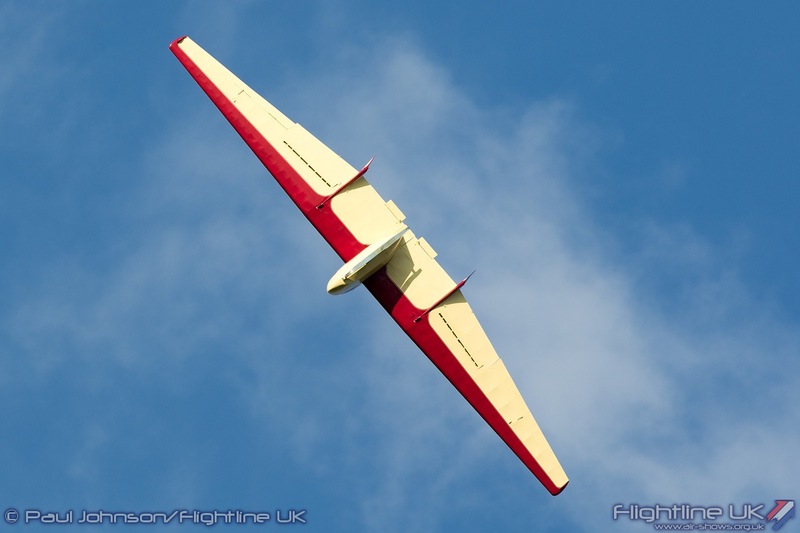 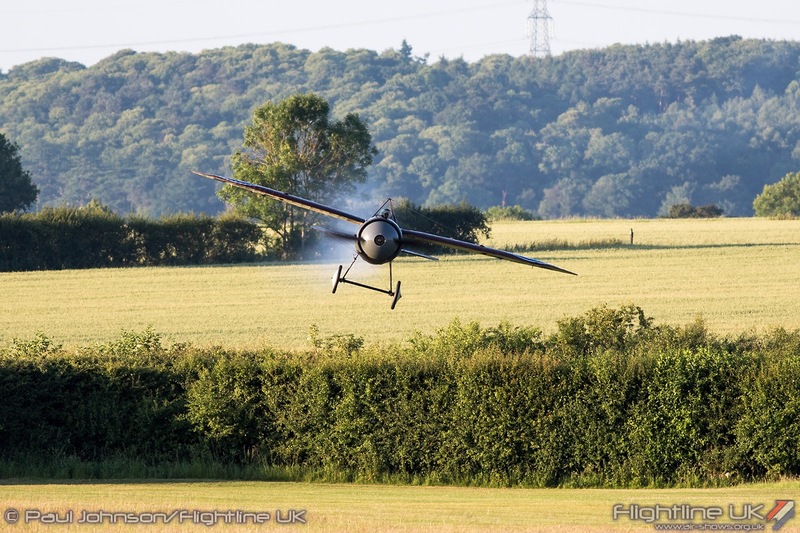 Also flying just after the Lympne Trials sequence was Colin Essex’s Aeronca C3 making its first public appearance. 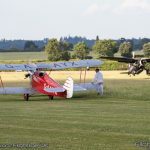 Staying with the light aircraft theme there was also the traditional “Barnstorming” slot which saw the likes of the de Havilland DH82a Tiger Moth, Piper Super Cub and de Havilland Canada DHC-1 Chipmunk perform flour-bombing, balloon bursting and limbo flying. 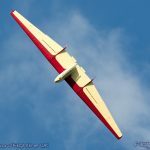 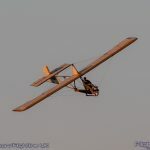 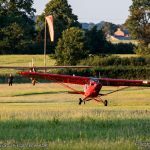 The Vintage gliders also got an outing with both the Fauvel AW36 and Eon Primary Glider flying during the evening with the aid of an aerotow from the Super Cub. 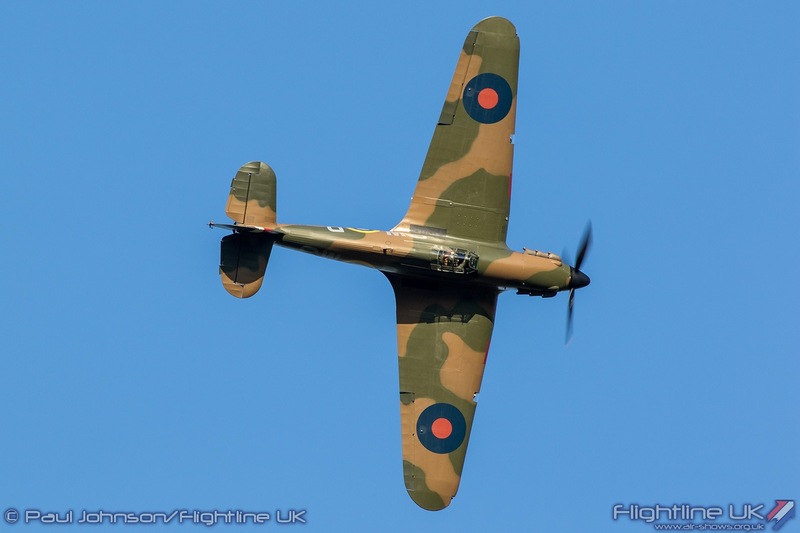 It was machinery from the Second World War that really stole the show. 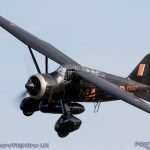 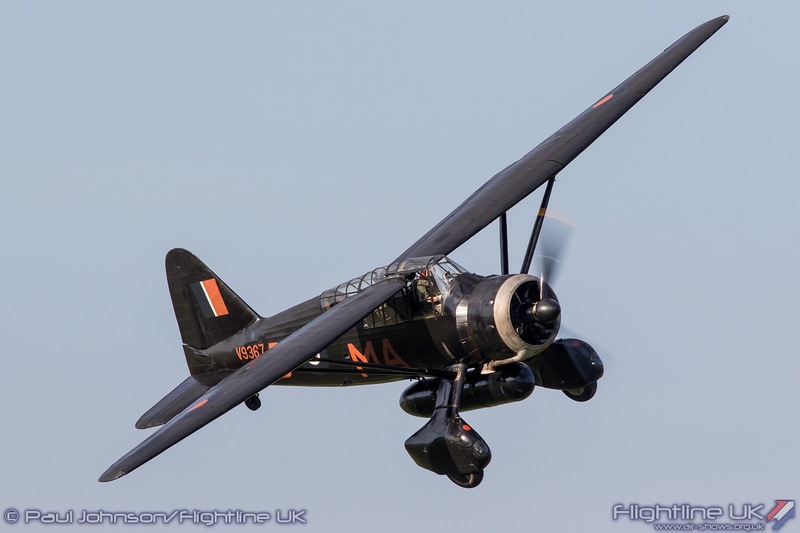 It was good to see the Westland Lysander back in action having missed out during May’s evening show due to the Tomtit’s undercarriage difficulties and bad weather. 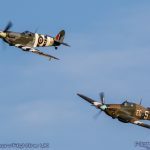 The Battle of Britain Memorial Flight also fitted in some lovely topside flypasts on their way home from other engagements with Supermarine Spitfire Vb AB910 piloted by Flt Lt Andy Preece and Hawker Hurricane IIc PZ865 flown by Sqn Ldr Mark Discombe. 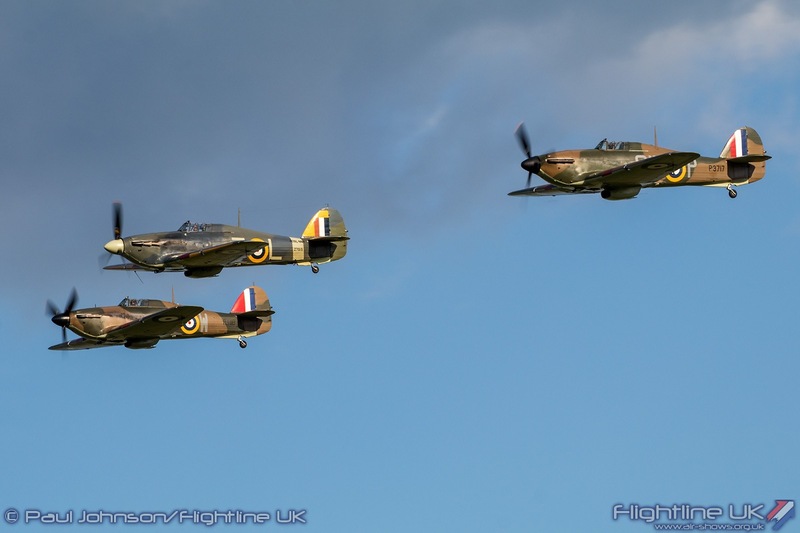 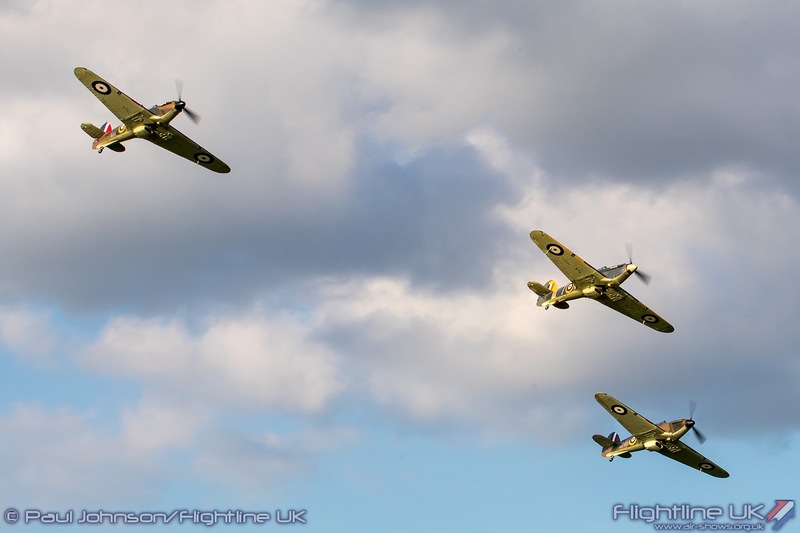 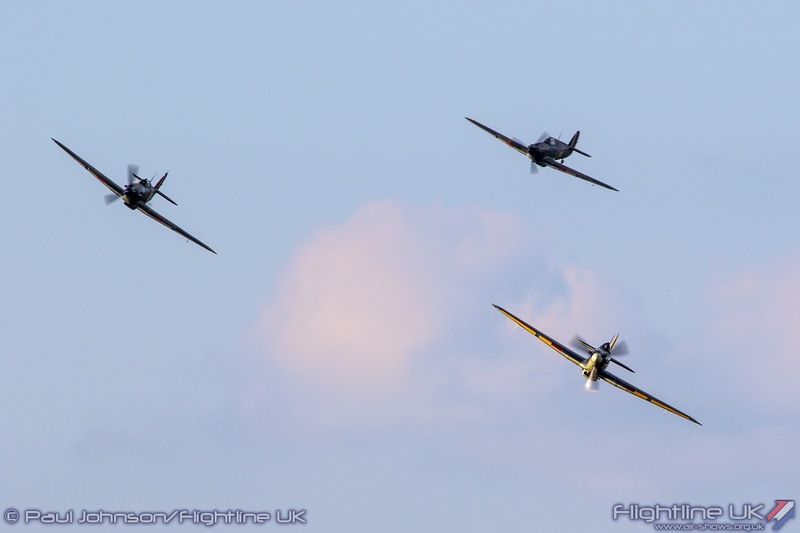 However it was the three-ship of Hawker Hurricanes that was the outstanding highlight of the event. 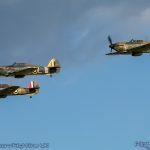 The Shuttleworth Collection’s own Hawker Sea Hurricane Ib was joined by Hawker Hurricane I R4118 and Hurricane I P3717 both operated by Hurricane Heritage. 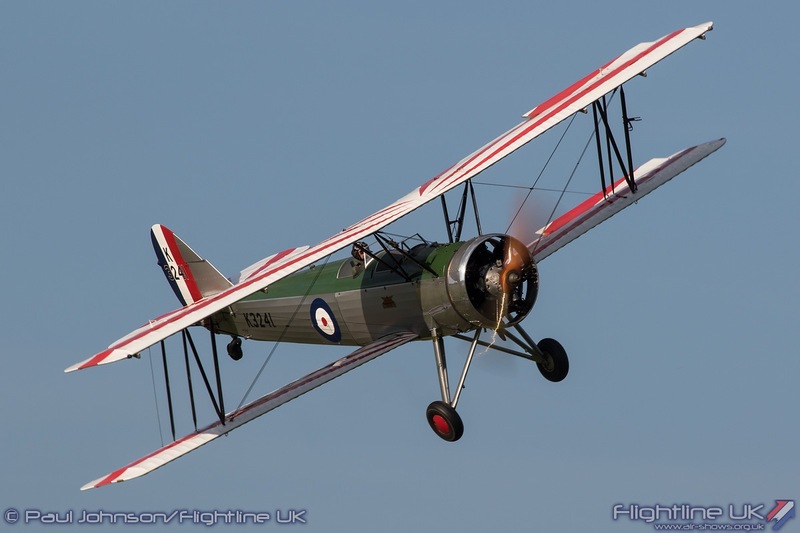 While R4118 has been a resident at Old Warden for over a year, P3717 arrived in mid-May. 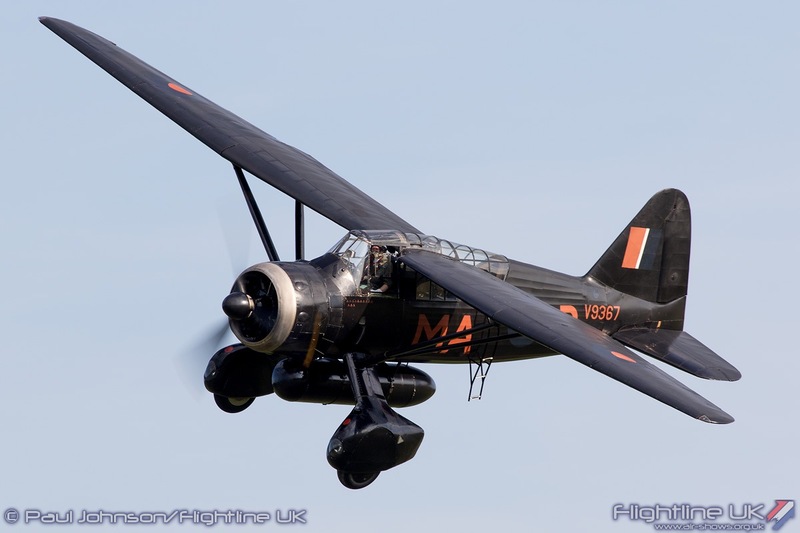 She was built in 1940 and delivered to 253 Squadron in July of that year at RAF Kirton-in-Lindsey. 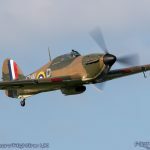 On 29th August 1940, the Squadron moved south to RAF Kenley and P3717 had a very short career in the Battle of Britain. 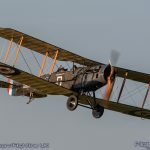 Having flown a patrol on the afternoon of their arrival, the Squadron was scrambled the next day to intercept German aircraft over southern England. 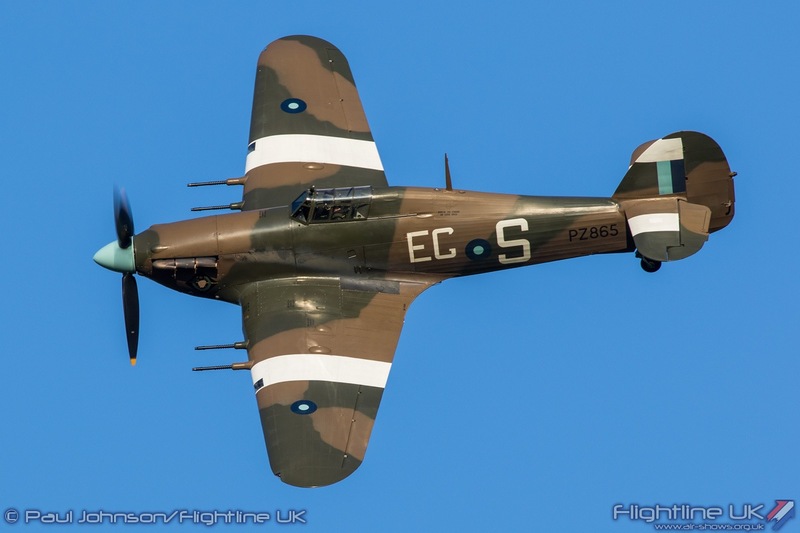 In the hands of Pilot Officer WMC Samolinski, P3717 is credited with downing a Messerschmitt Bf110 over Redhill. 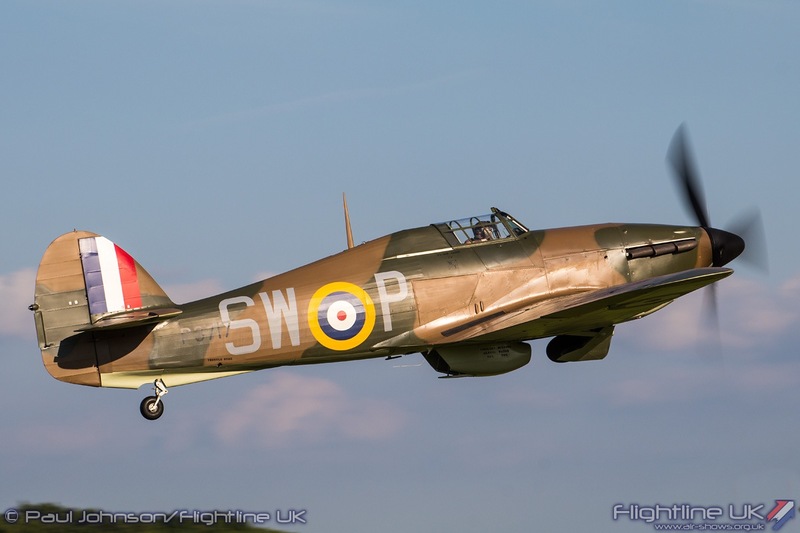 However P3717 was badly damaged during the engagement and was sent back to Hawkers for repairs. 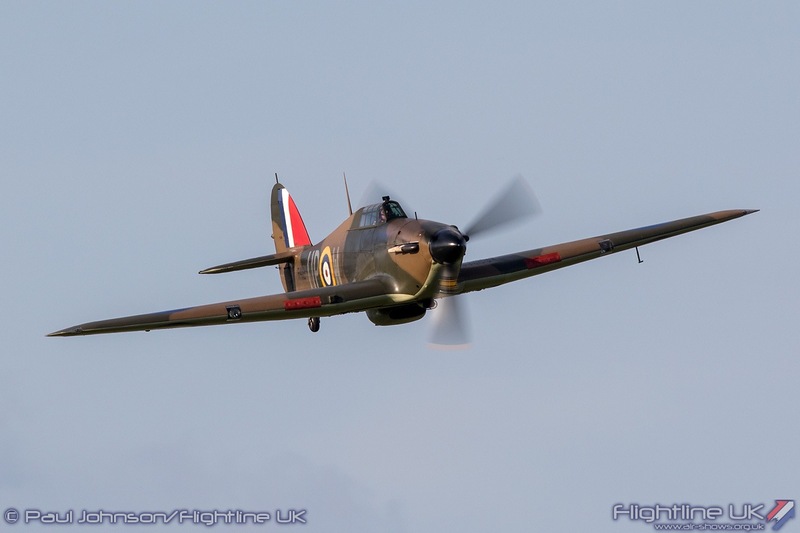 Following, P3717 was one of many Hurricanes sent to Russia to bolster the Soviet Air Force. 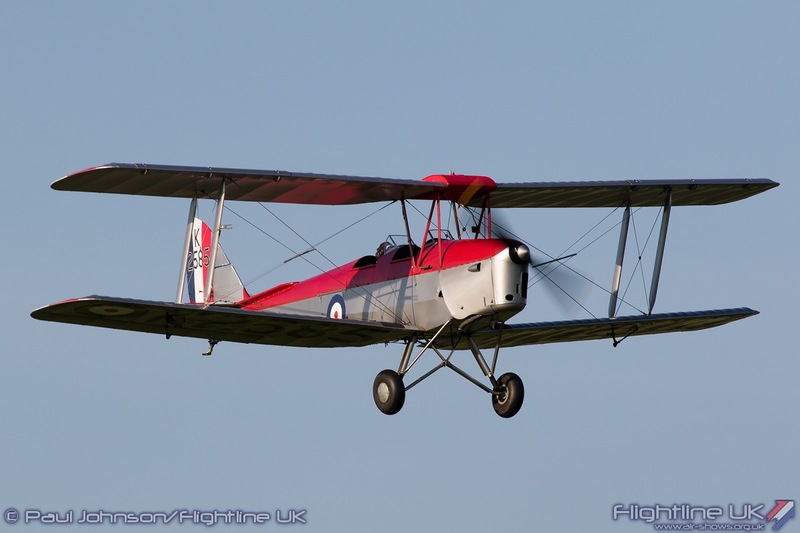 The aircraft was found and recovered from Russia during the 1990’s to be restored to flight at Turweston Aerodrome. 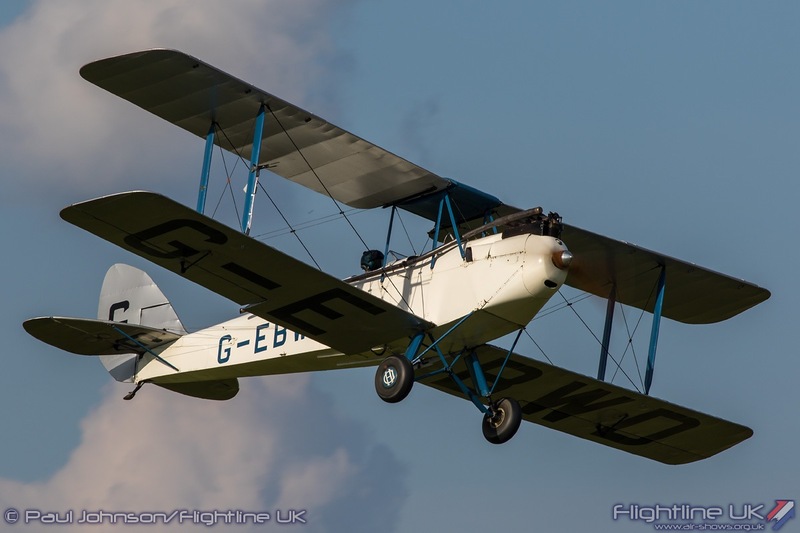 She first flew again from Turweston in March 2017. 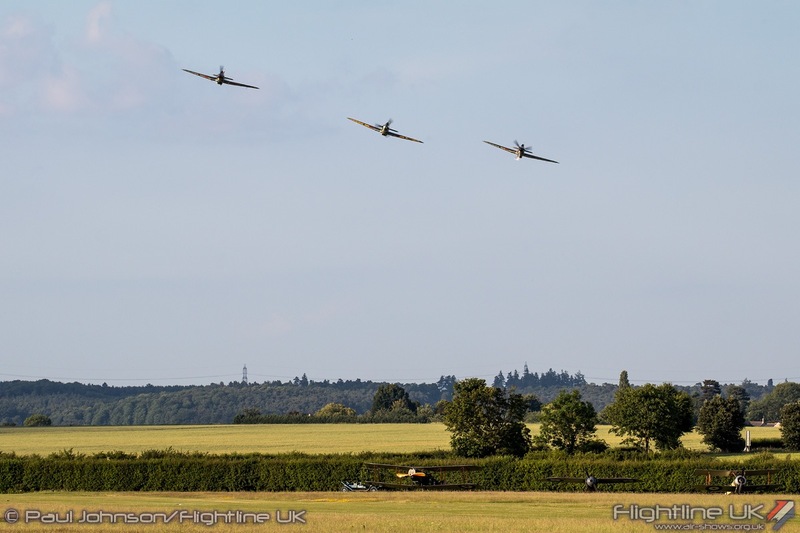 The three Hurricanes performed a number of sweeping flypasts together before leaving P3717 to perform a wonderful aerobatic solo in the hands of Stu Goldspink. 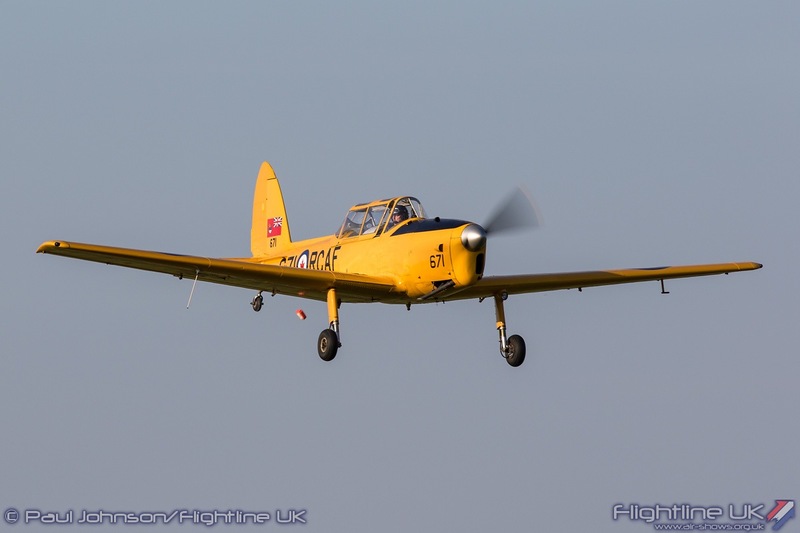 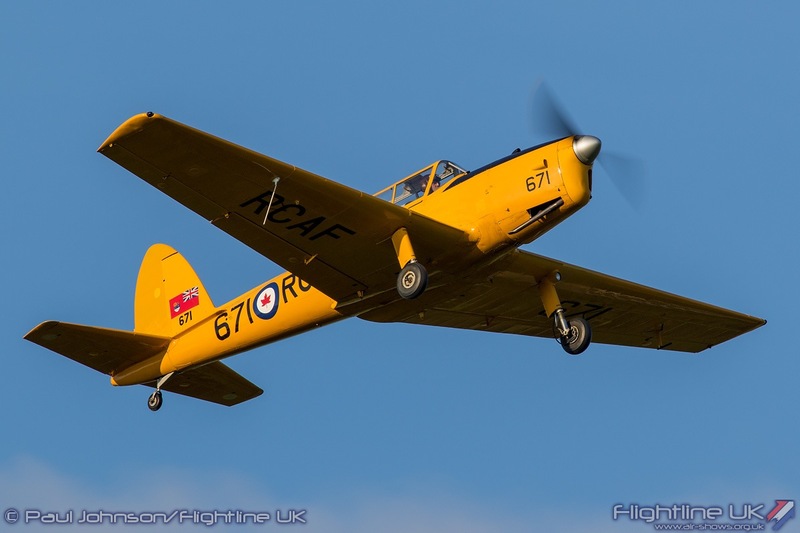 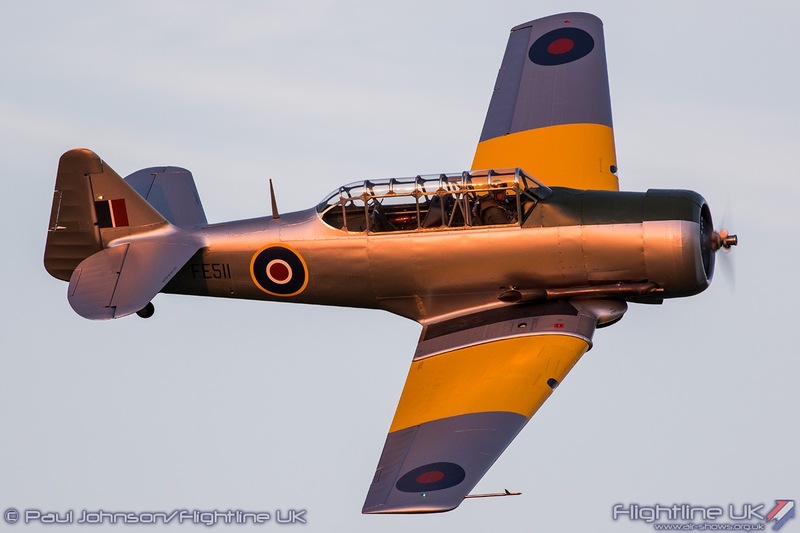 Much later on, Hurricane Heritage Ltd’s North American Harvard IIb FE511 made its UK public display debut, again in the hands of Stu Goldspink. 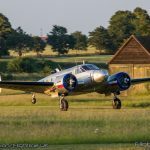 This aircraft was recently imported from Sweden where it flew as “Checker Tail” at a number of Scandinavian airshows. 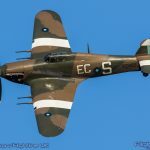 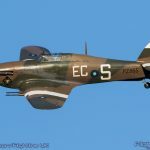 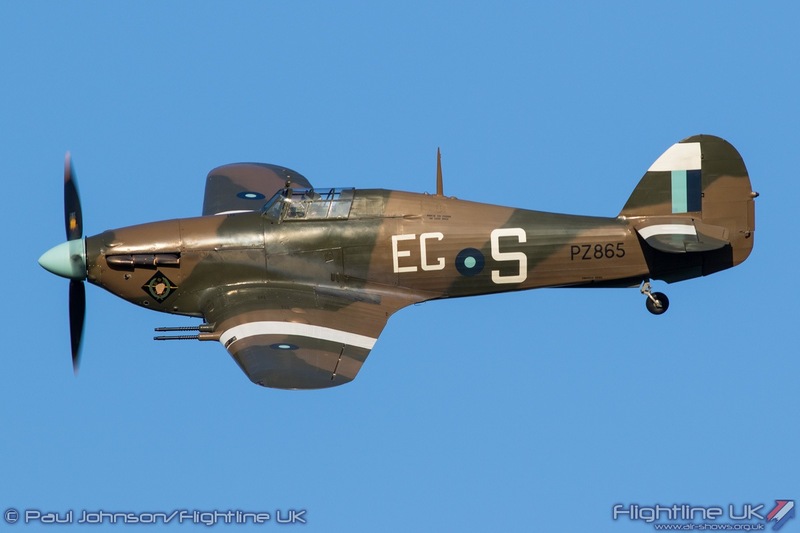 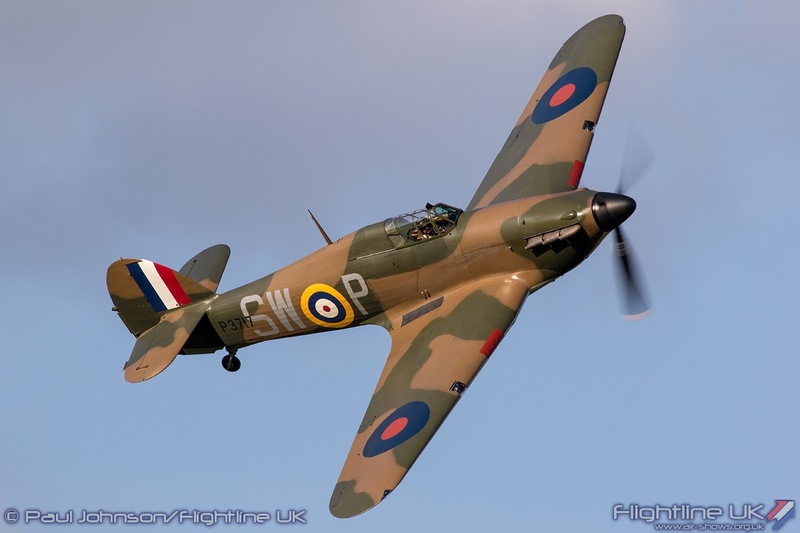 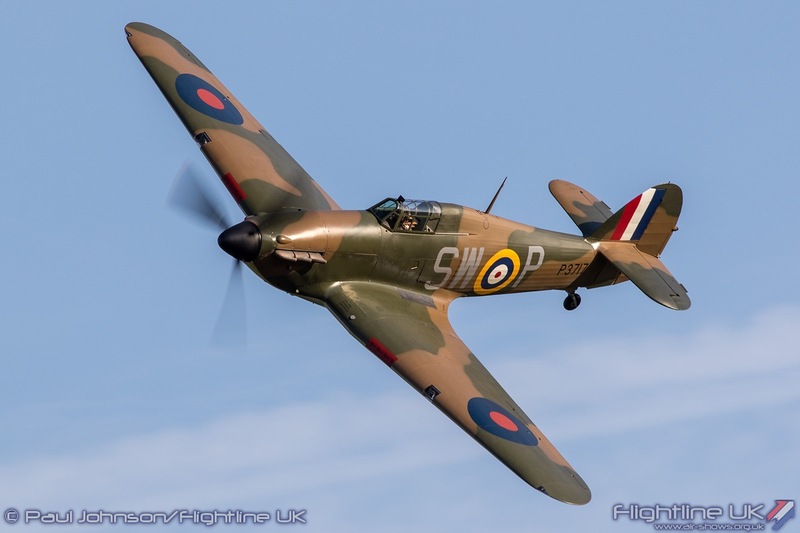 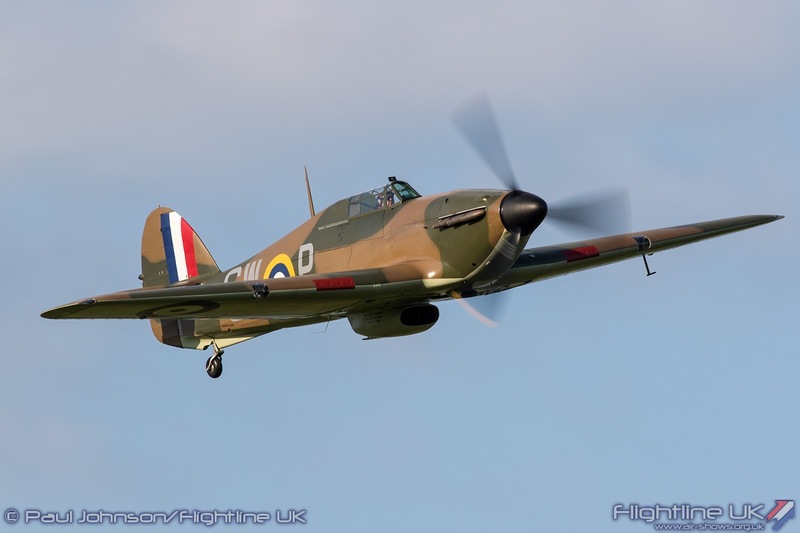 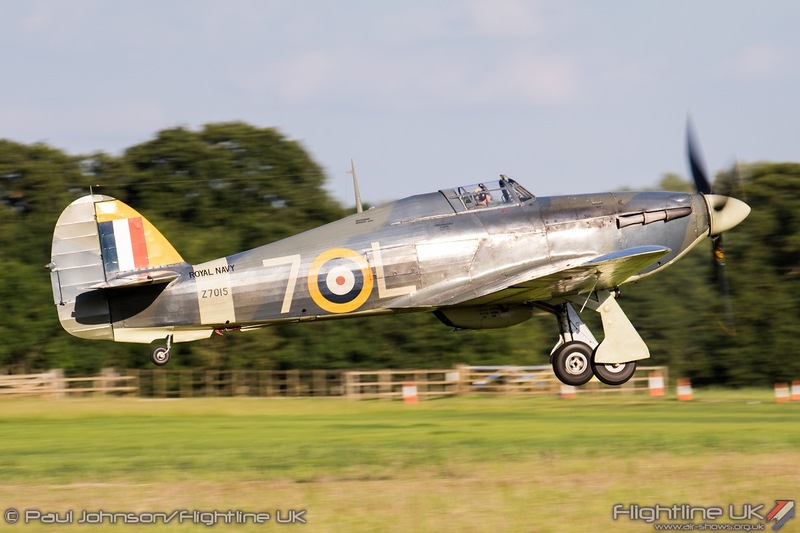 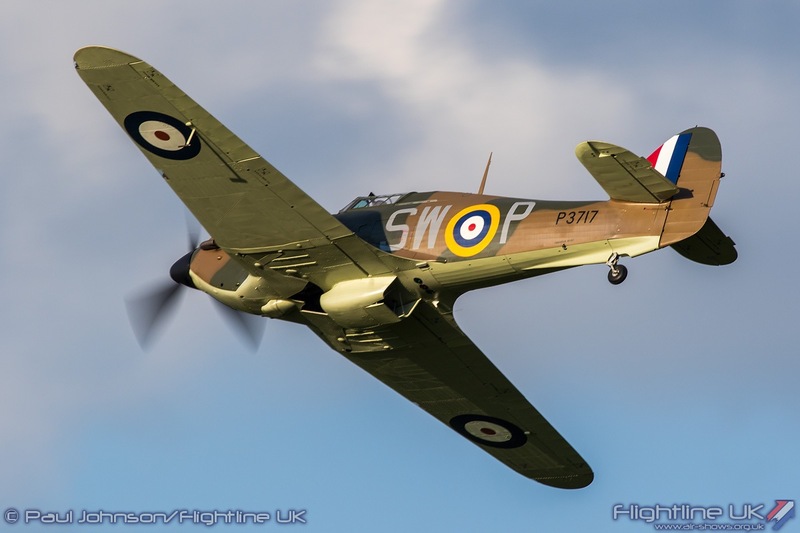 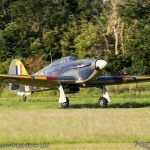 Since its arrival back in the UK, Hurricane Heritage have refurbished her and repainted the aircraft in its original Royal Air Force silver and yellow training markings. 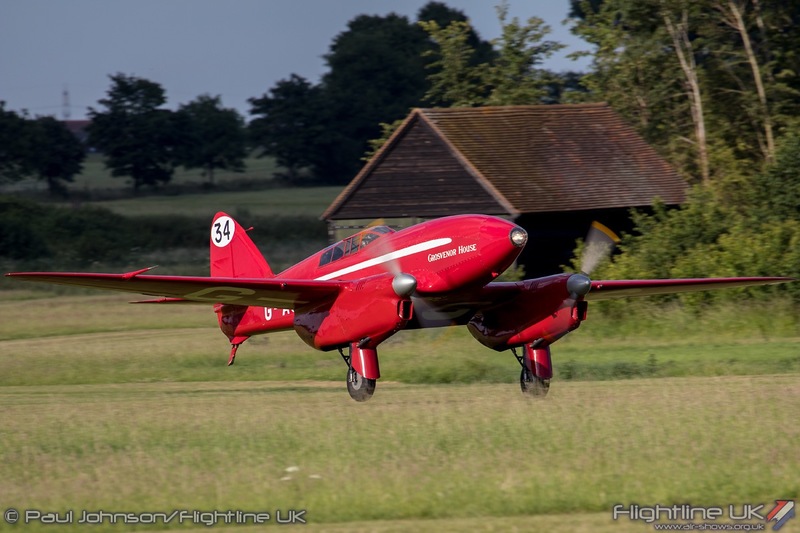 In the deep red sunset, the Harvard looked glorious as it looped and rolled over Old Warden. 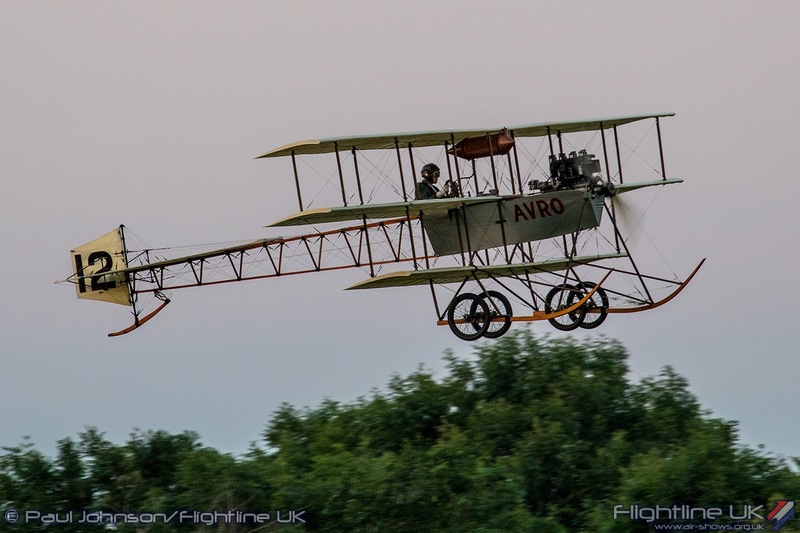 As the light died away, it was time for the Edwardians to make a rare appearance. 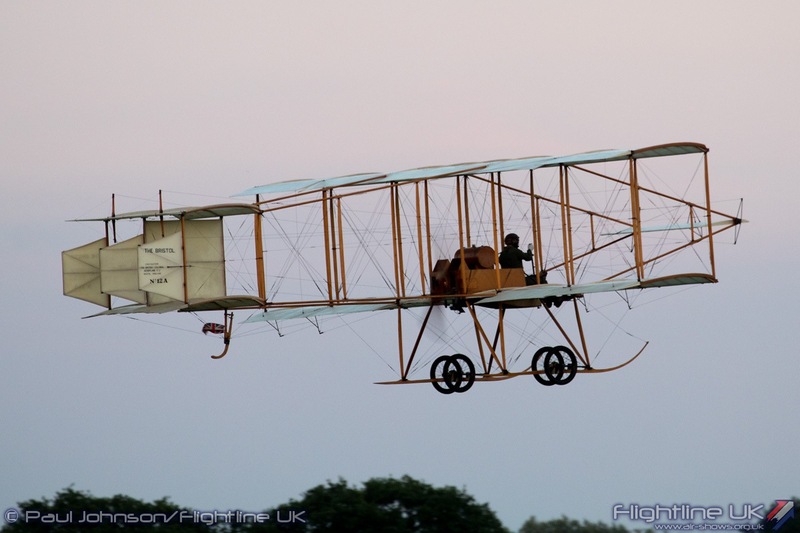 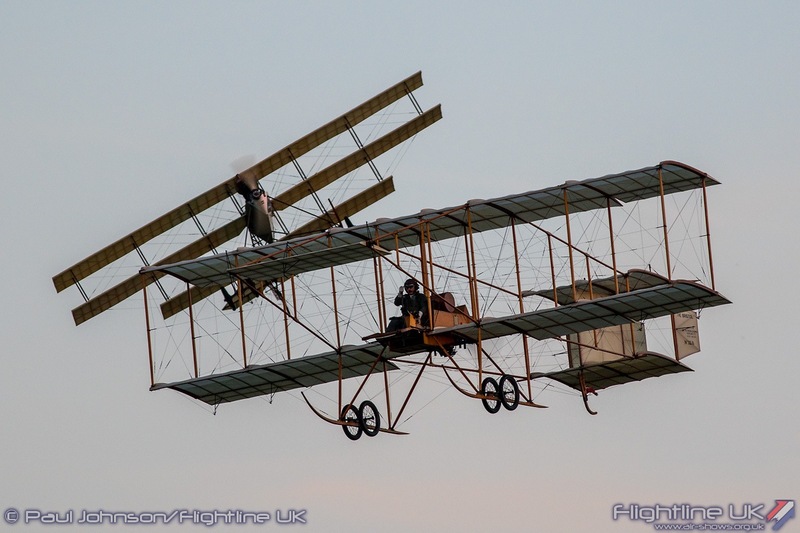 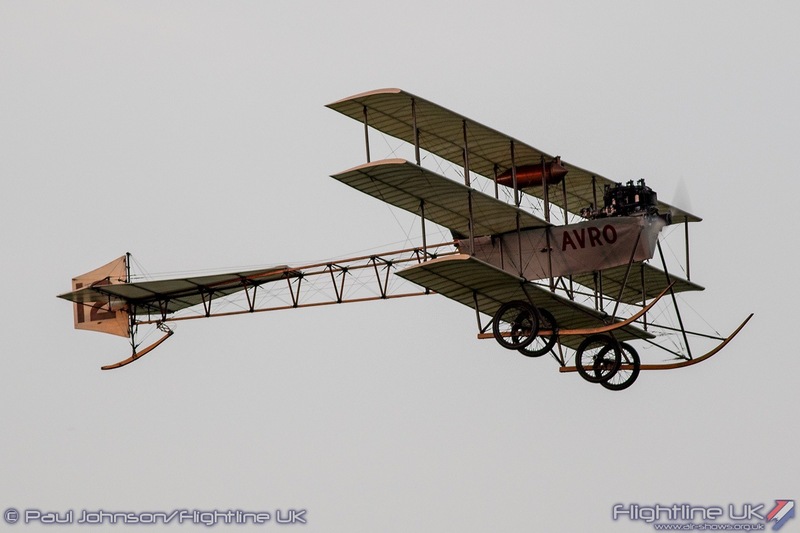 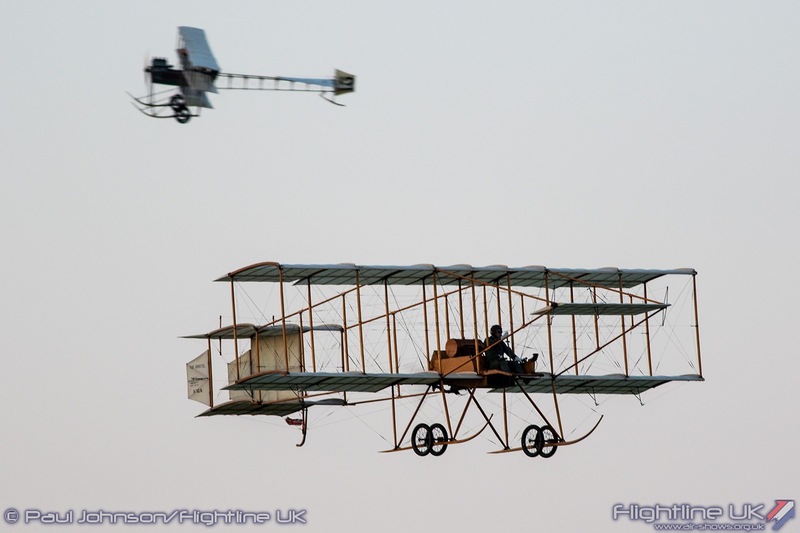 The Bristol Boxkite and Avro Triplane replicas took the air to start the finale at 9.20pm! 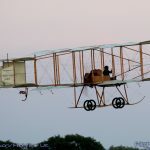 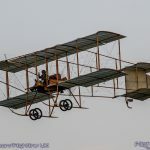 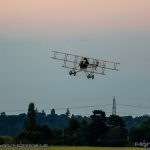 Flying continued to almost 10pm with a second flight for the Triplane the collection’s Deperdussin making some hops down Old Warden’s runway in the twilight! 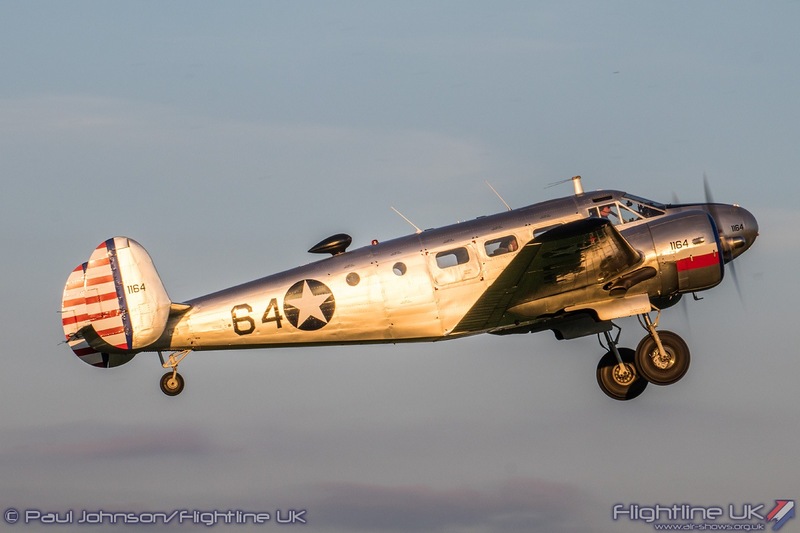 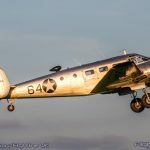 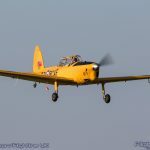 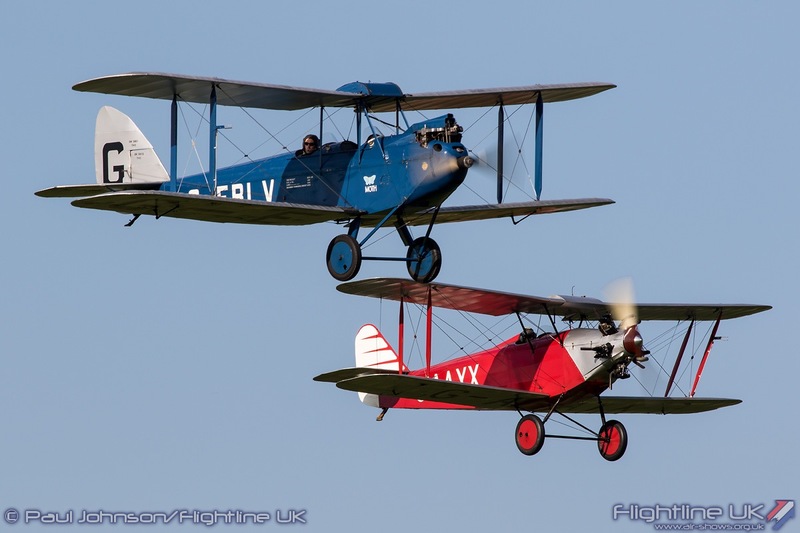 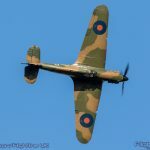 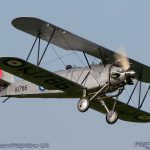 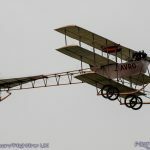 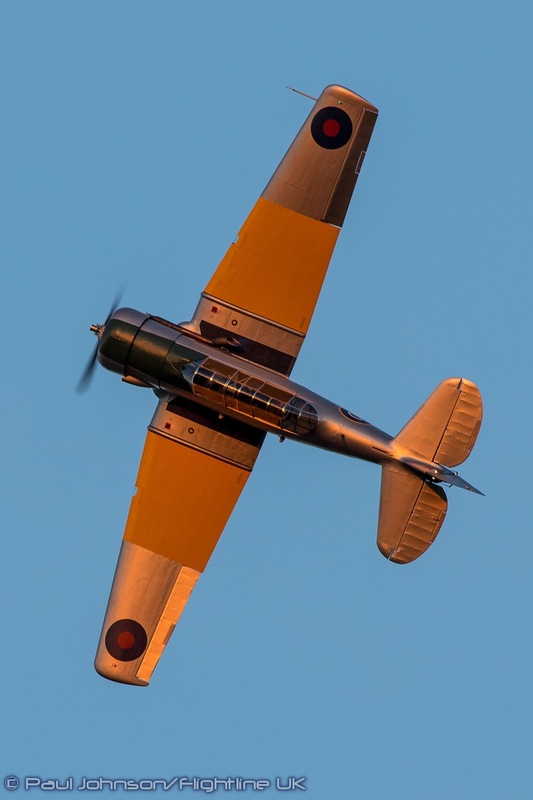 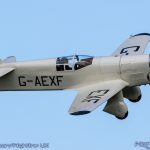 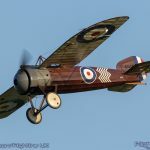 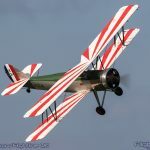 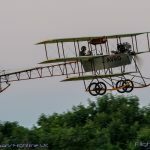 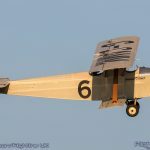 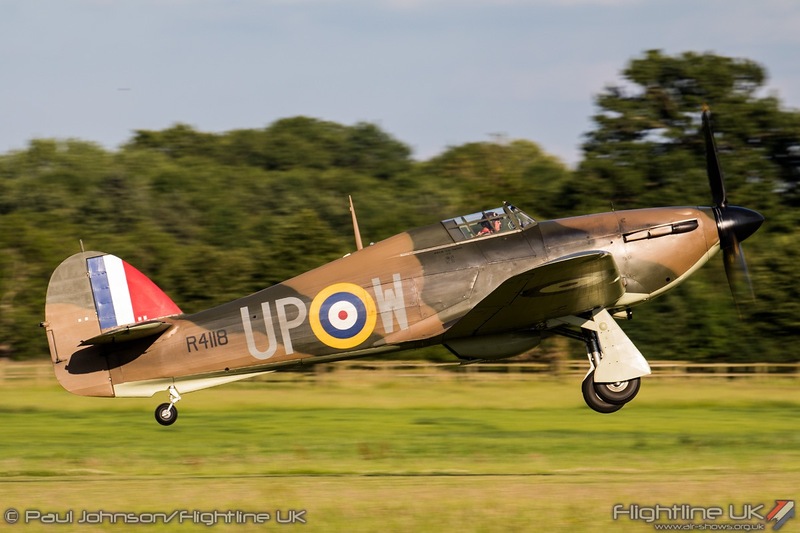 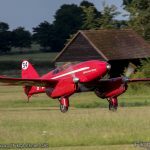 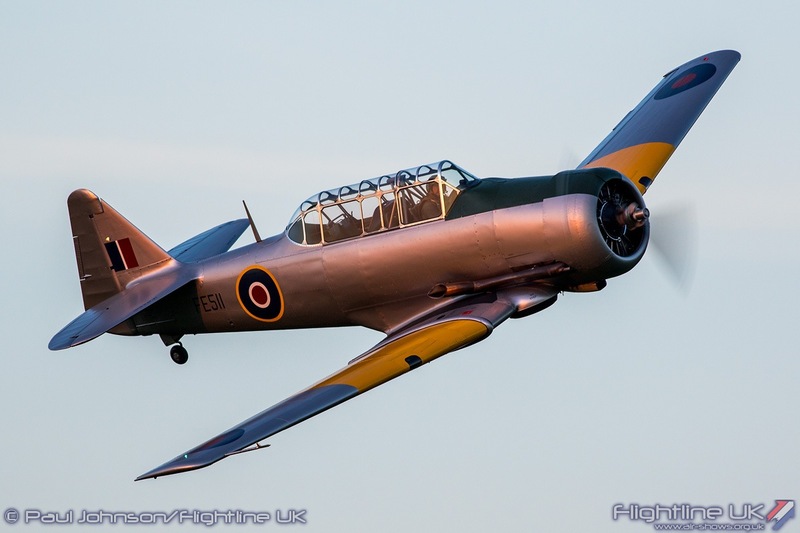 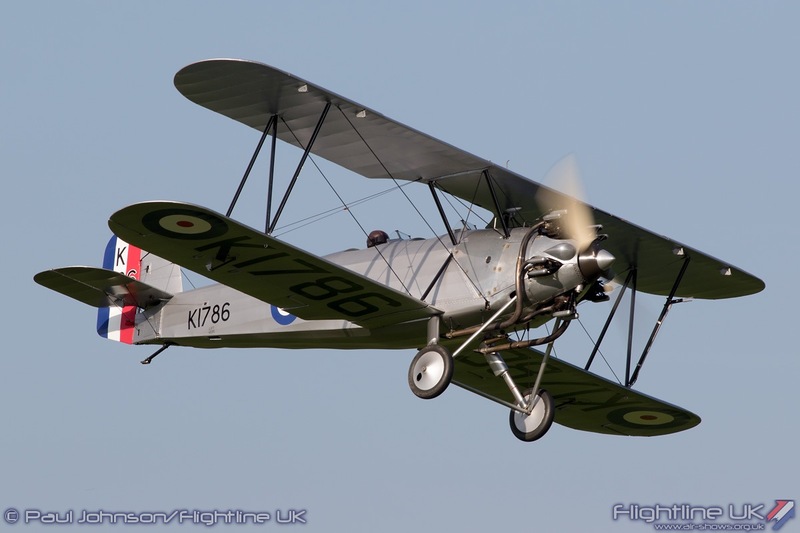 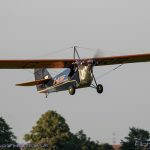 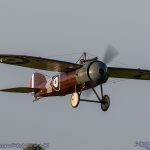 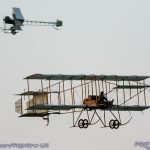 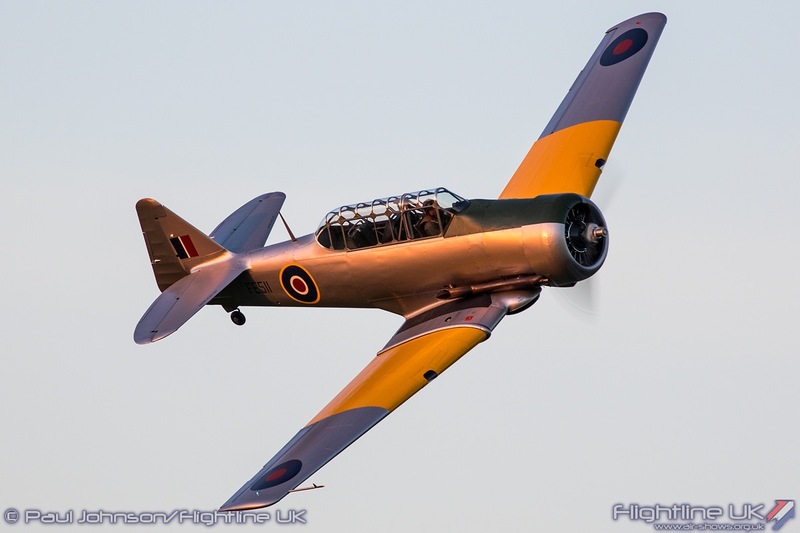 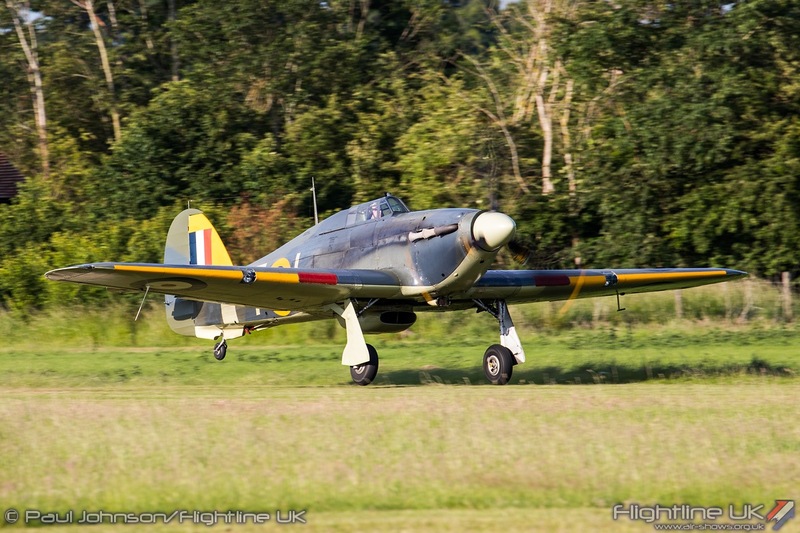 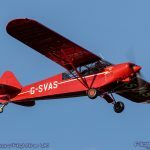 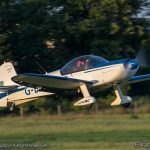 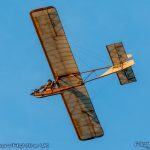 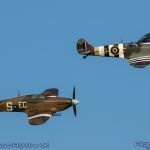 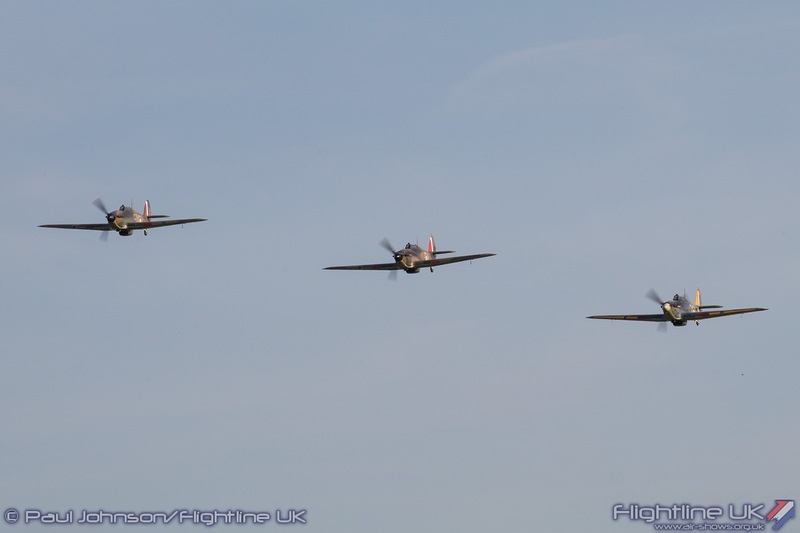 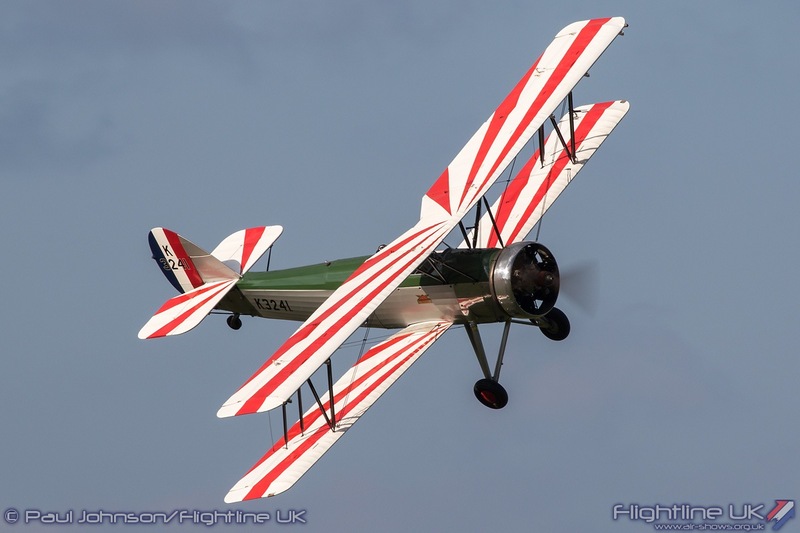 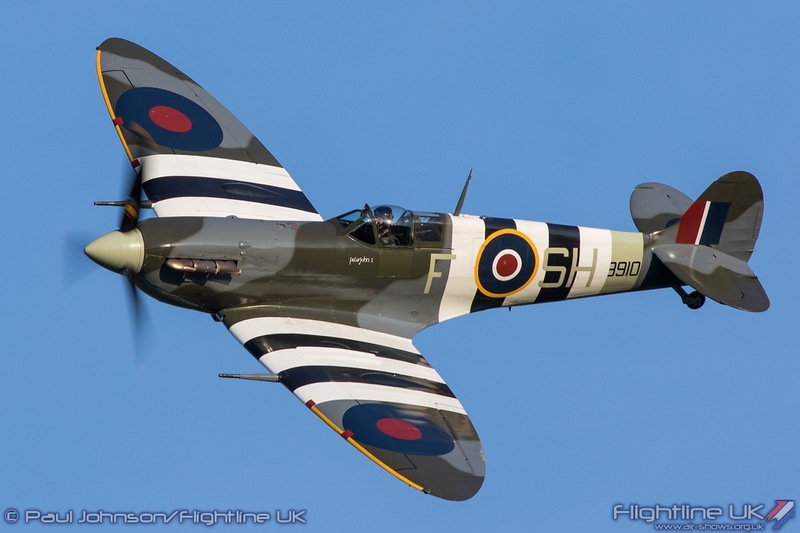 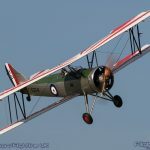 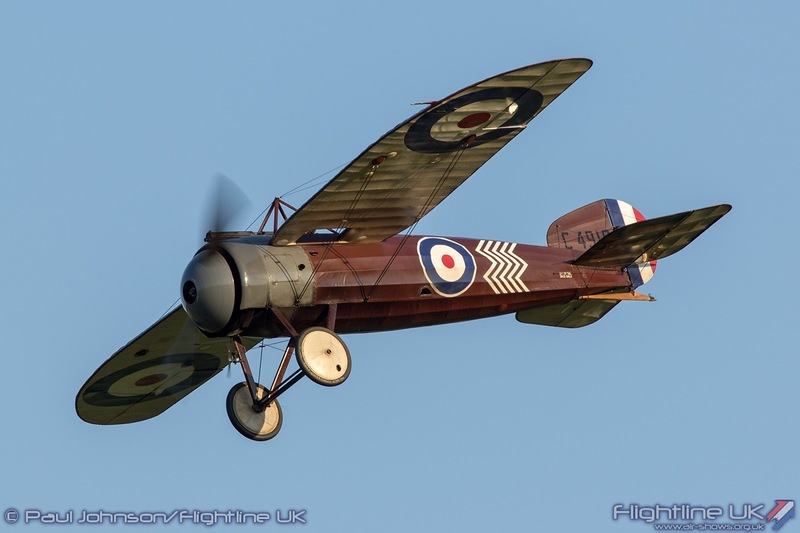 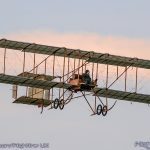 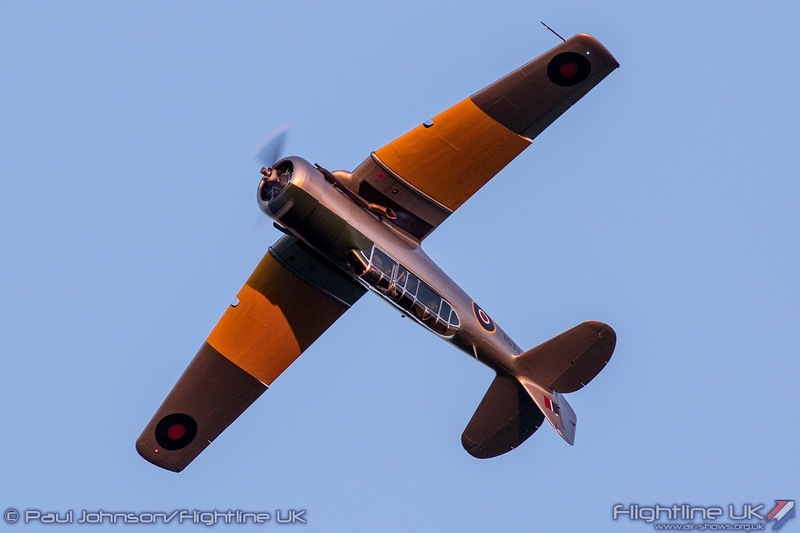 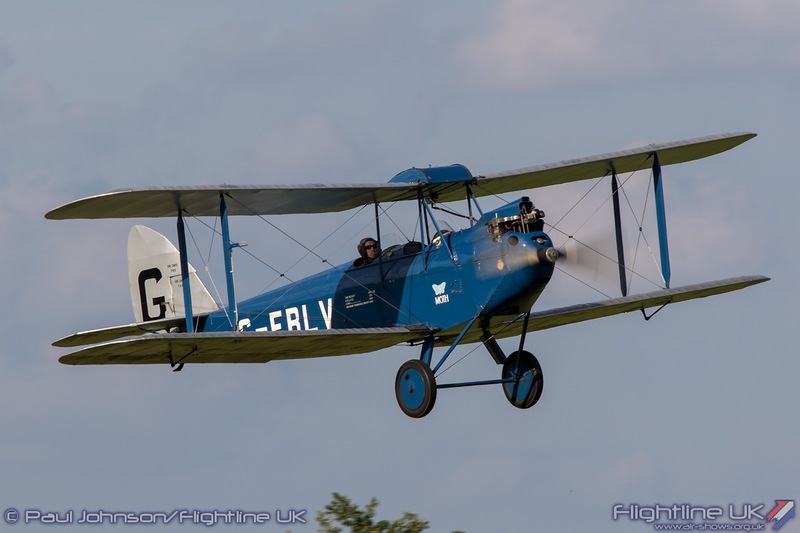 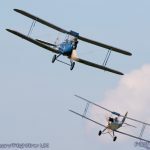 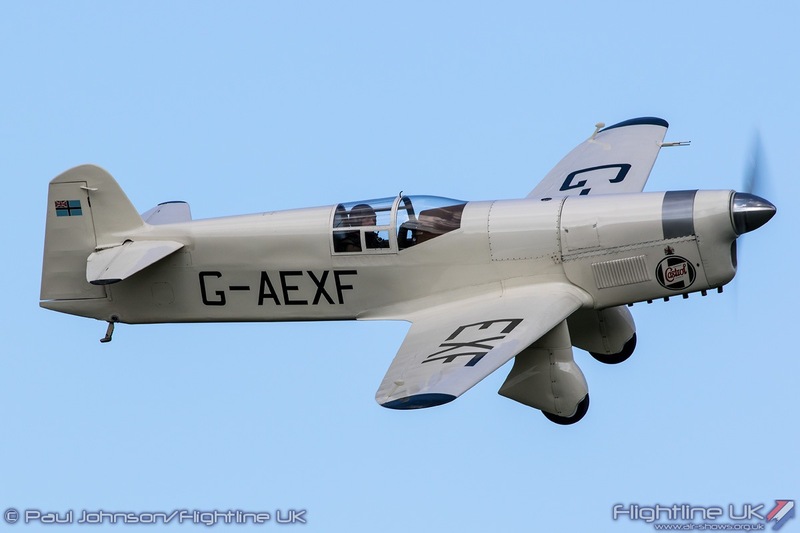 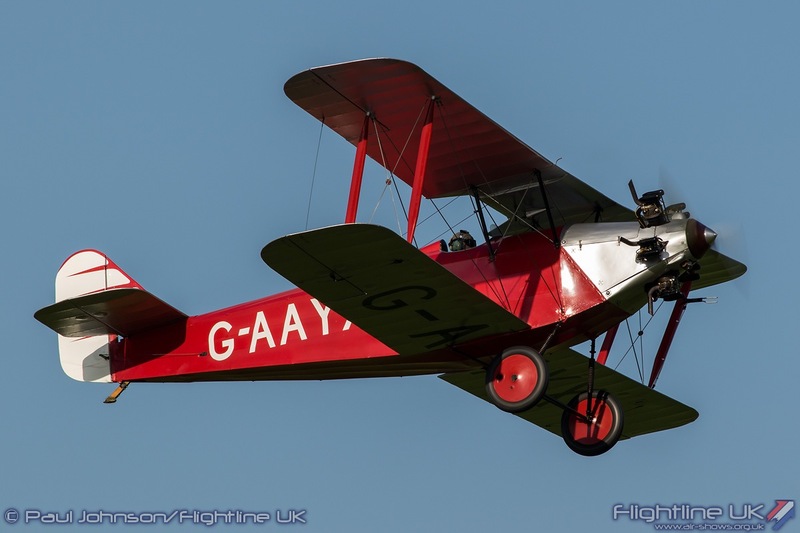 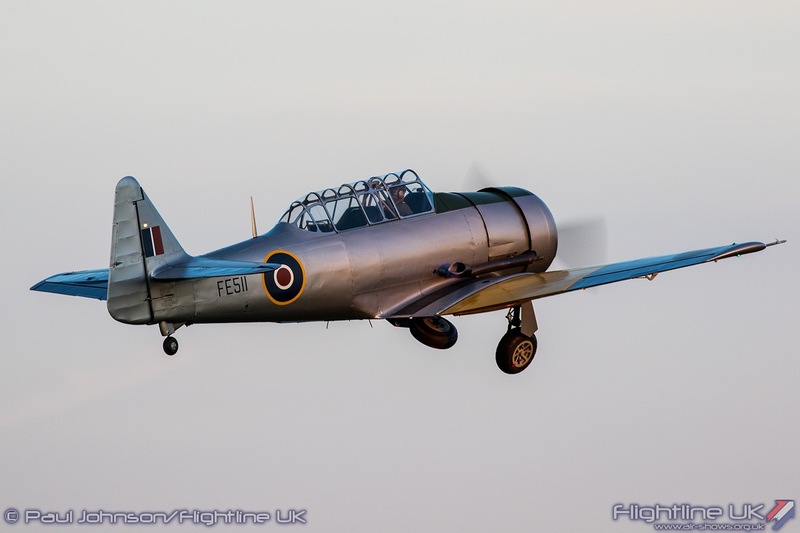 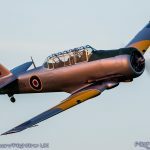 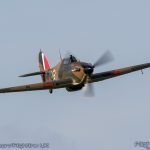 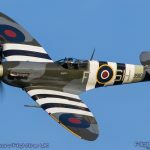 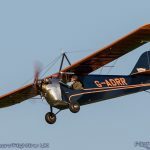 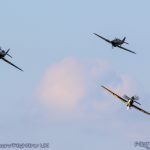 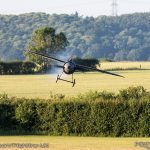 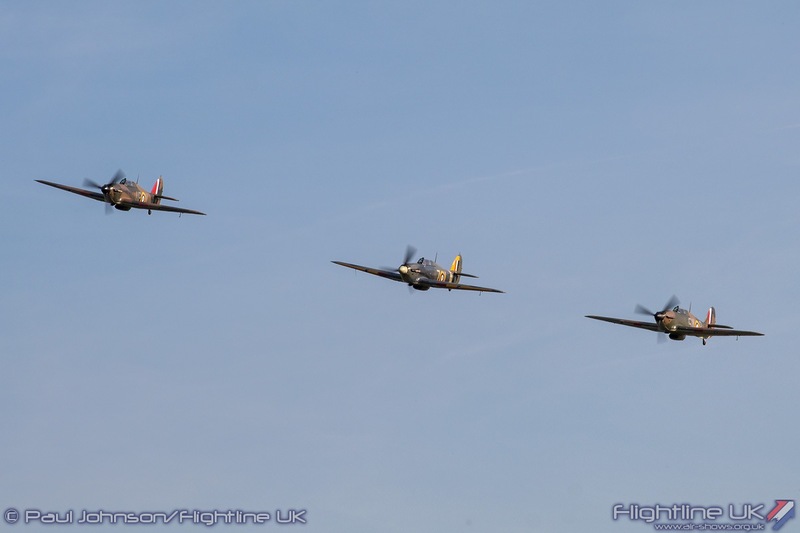 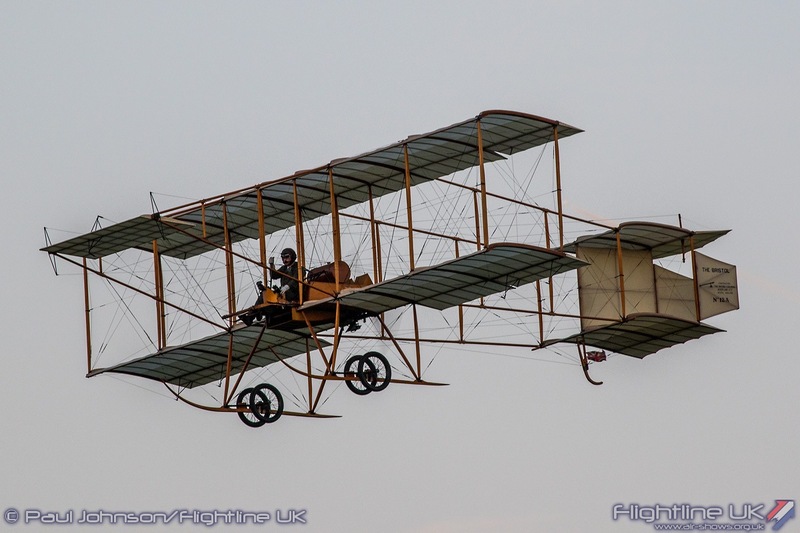 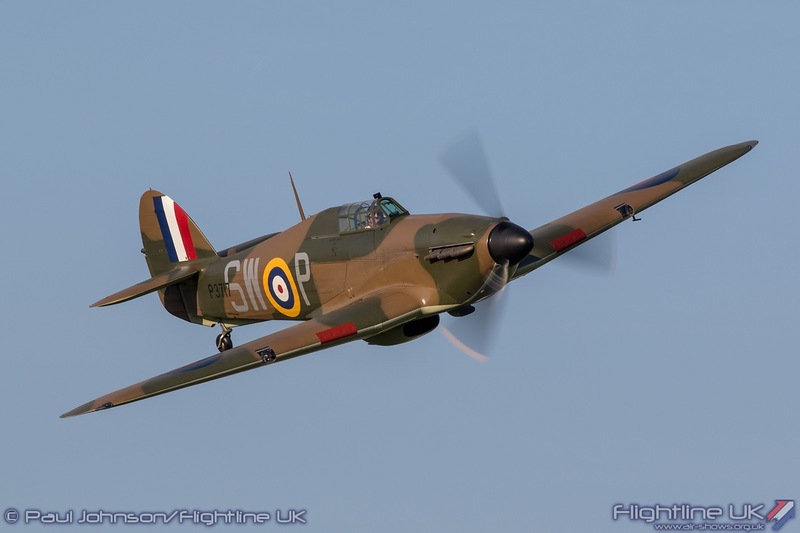 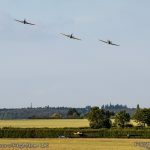 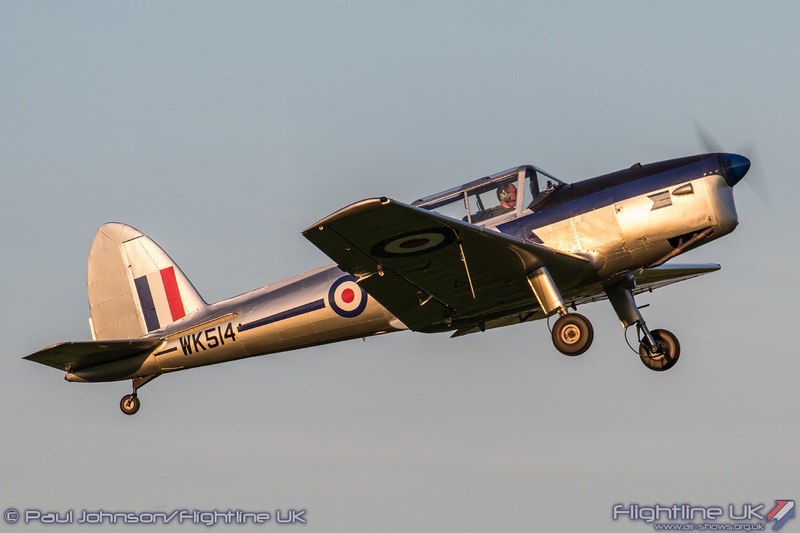 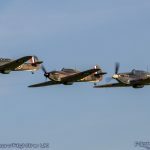 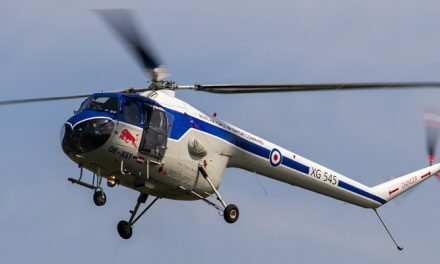 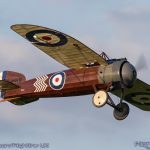 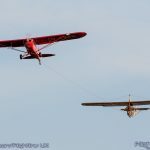 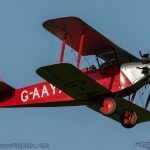 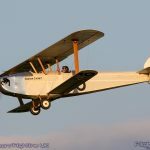 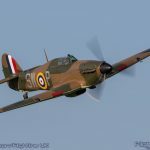 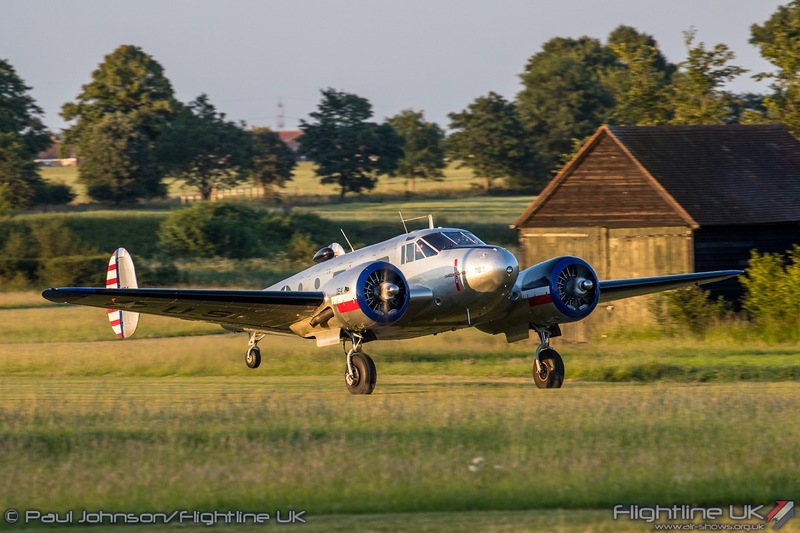 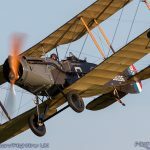 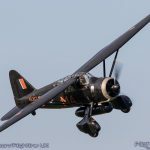 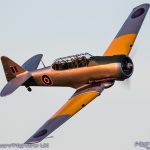 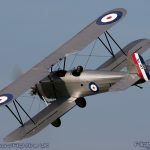 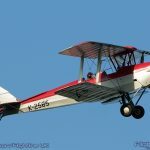 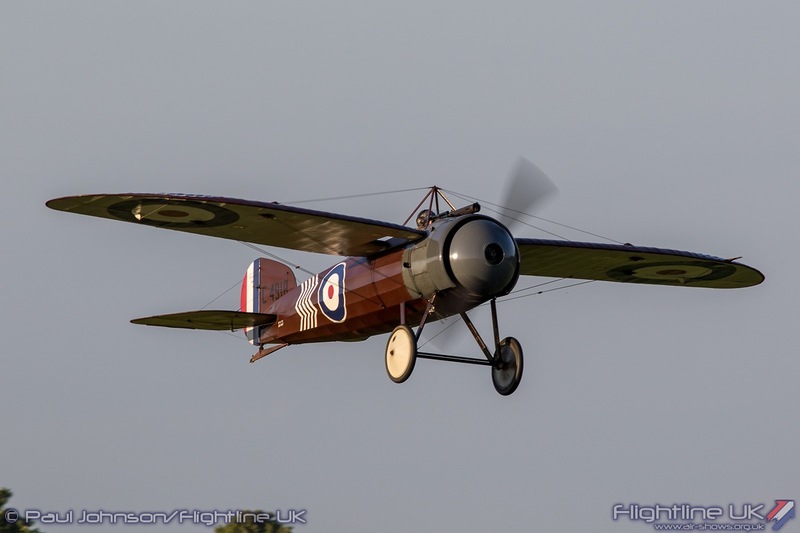 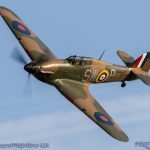 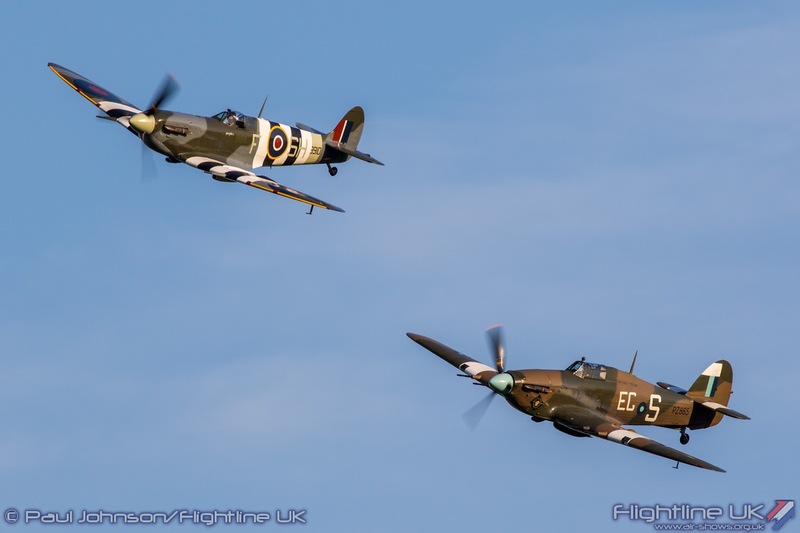 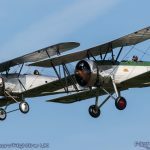 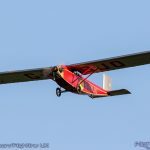 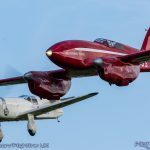 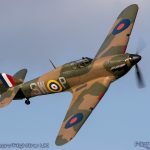 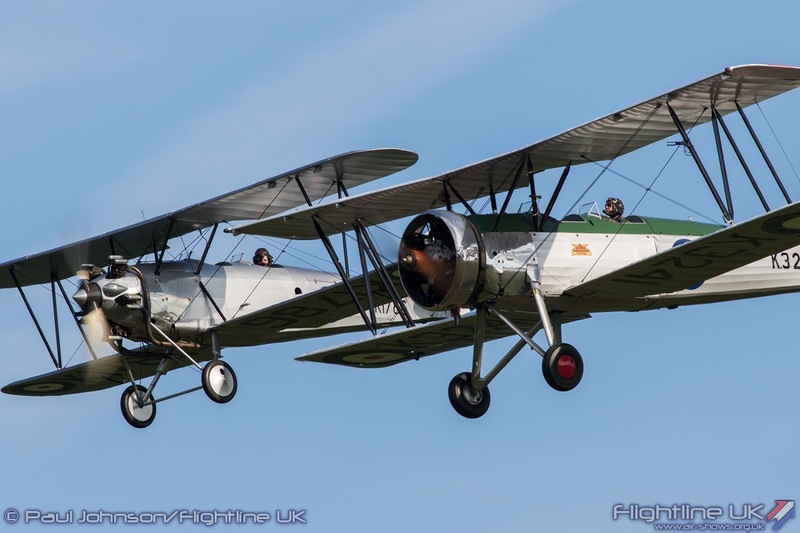 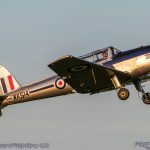 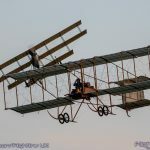 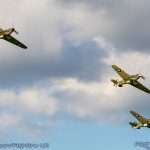 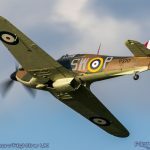 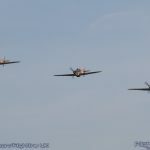 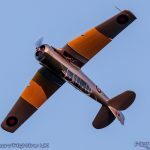 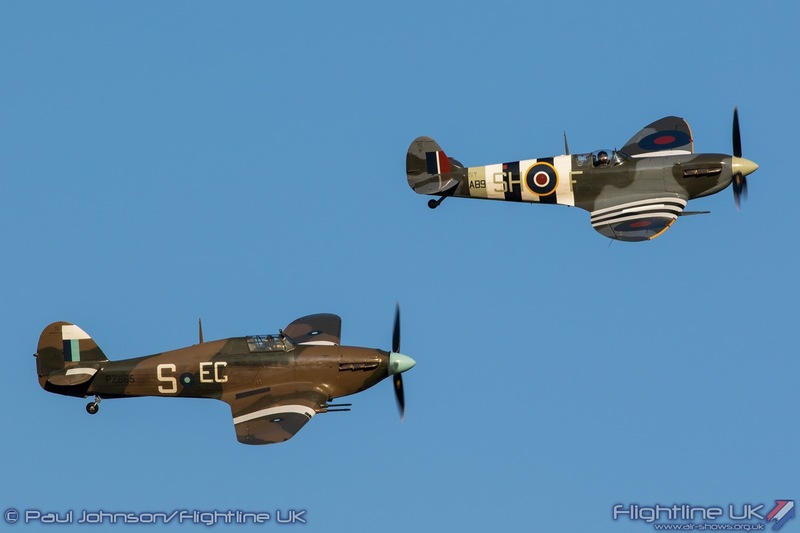 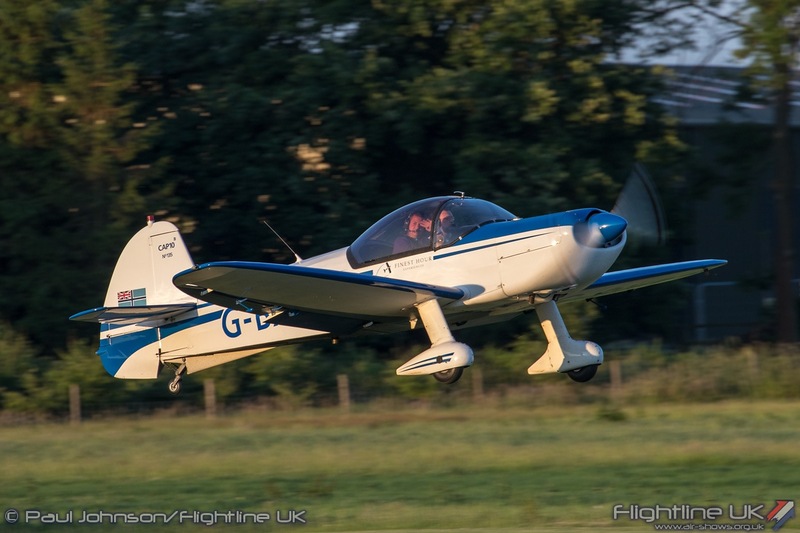 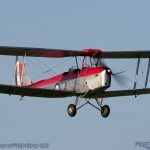 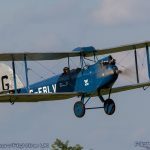 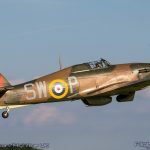 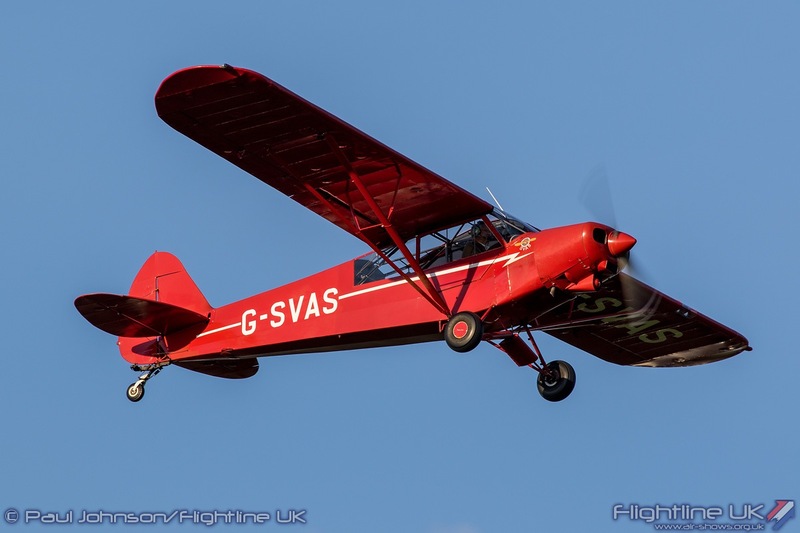 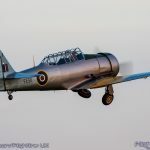 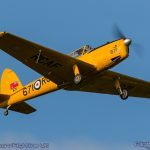 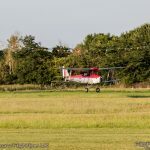 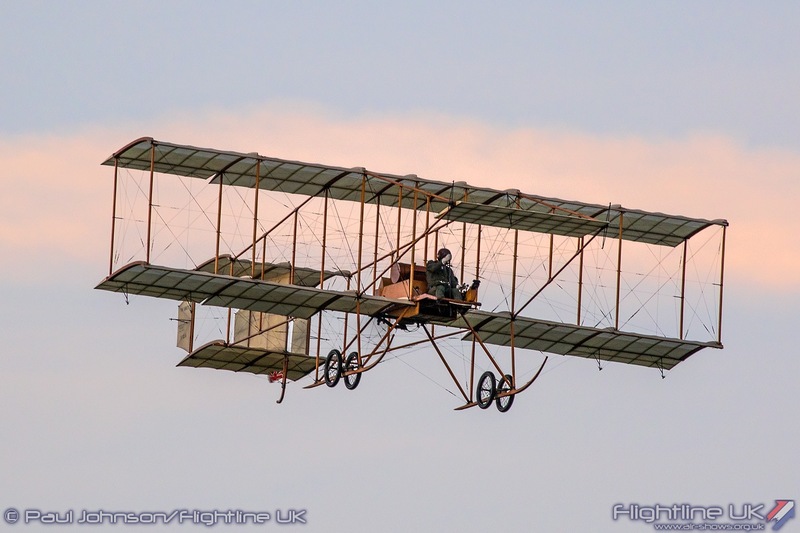 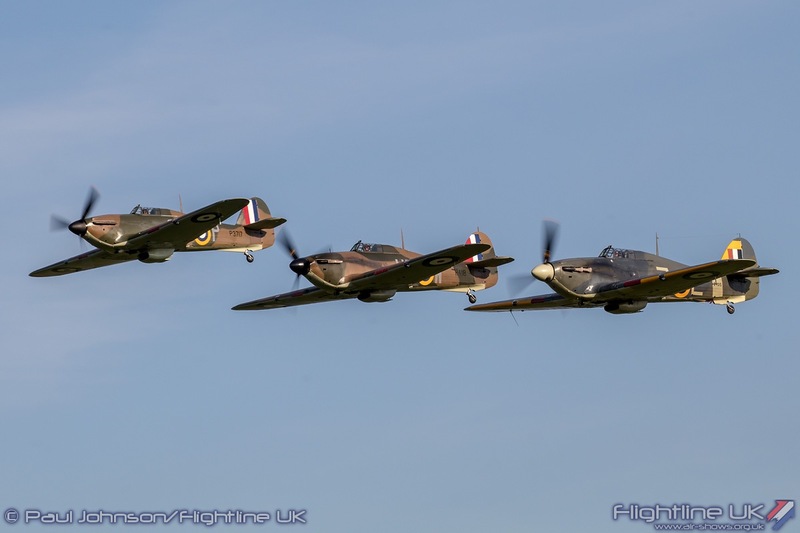 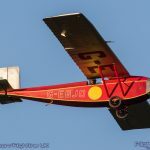 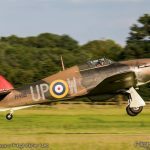 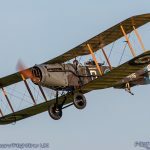 It was undoubtedly one of the very best Evening Airshow to be held at Old Warden in recent years – the weather was absolutely perfect and the flying was just fantastic. 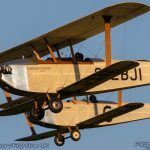 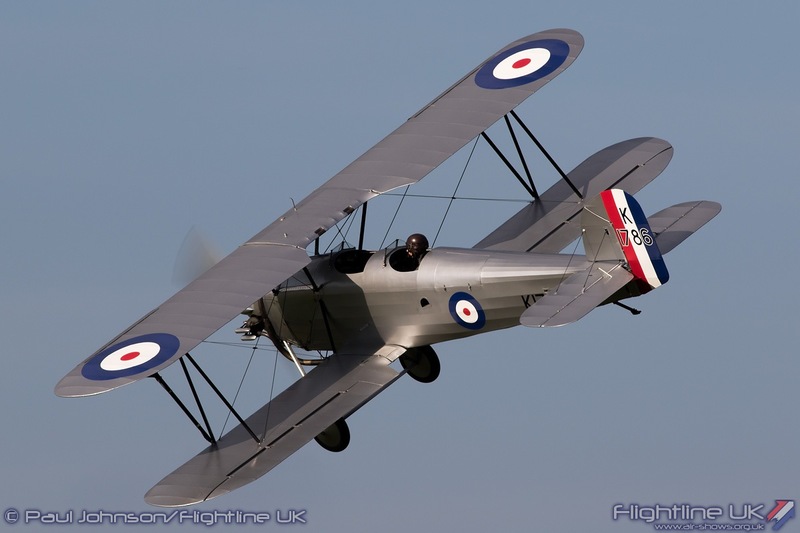 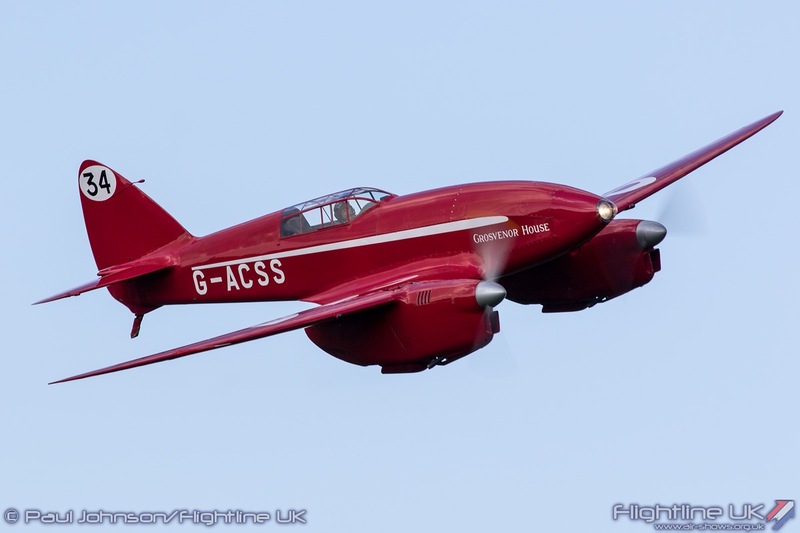 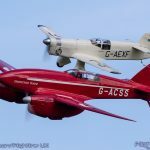 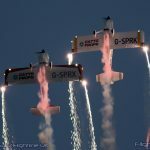 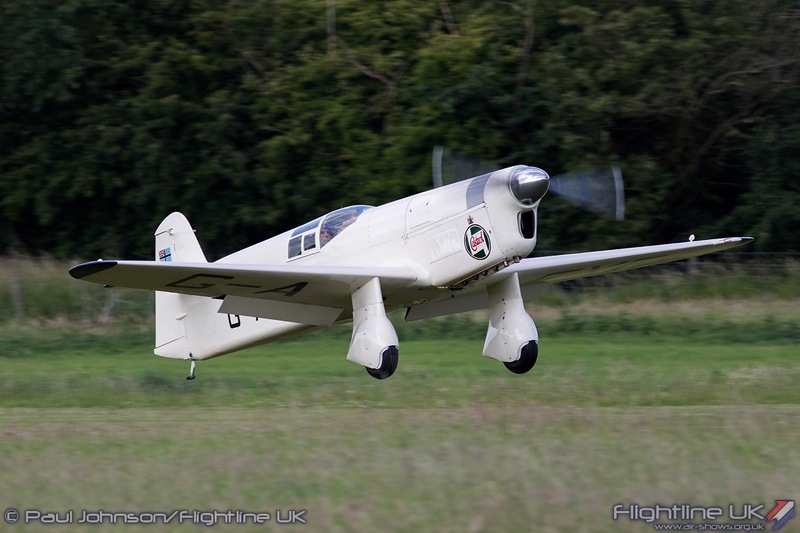 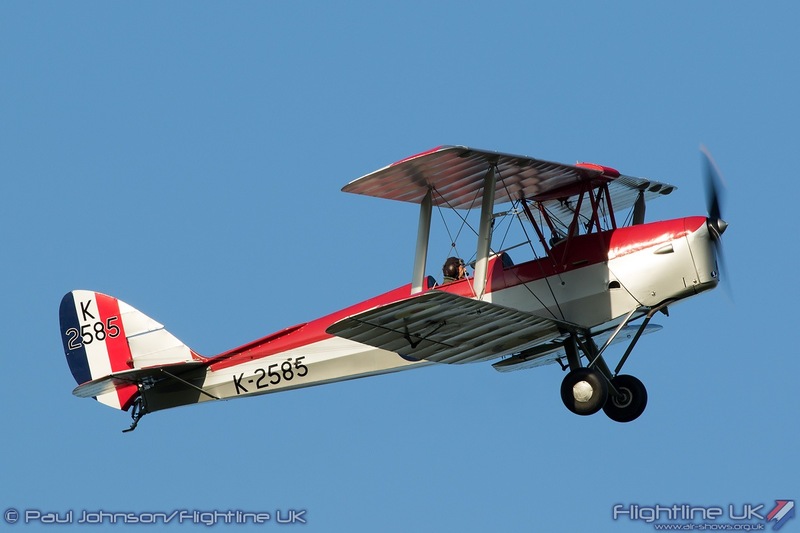 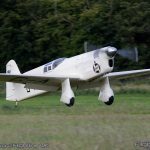 If these conditions are repeated and you have the chance to go to an Old Warden Evening show – do not miss it! 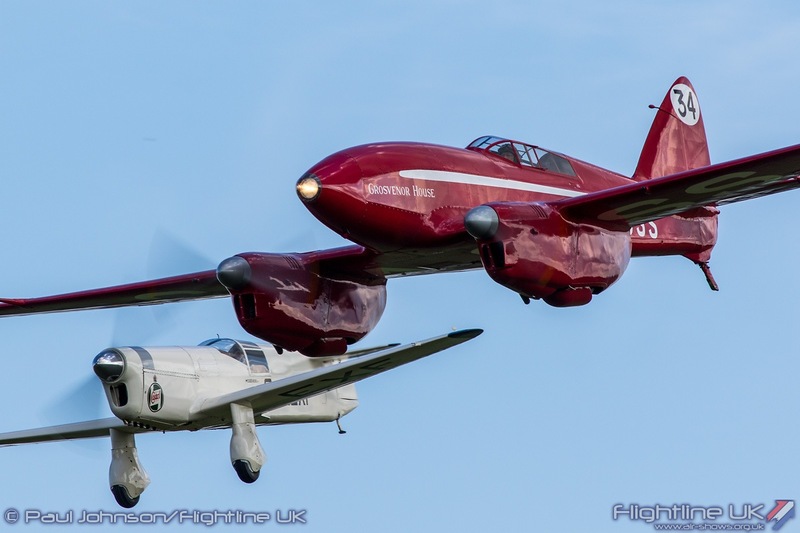 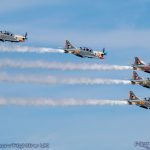 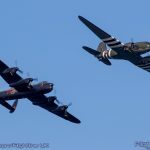 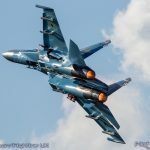 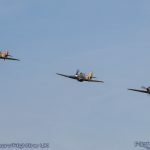 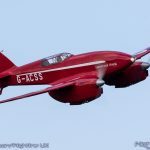 NextAIRSHOW NEWS: Vampire Pair to add bite to Scampton Airshow line-up!